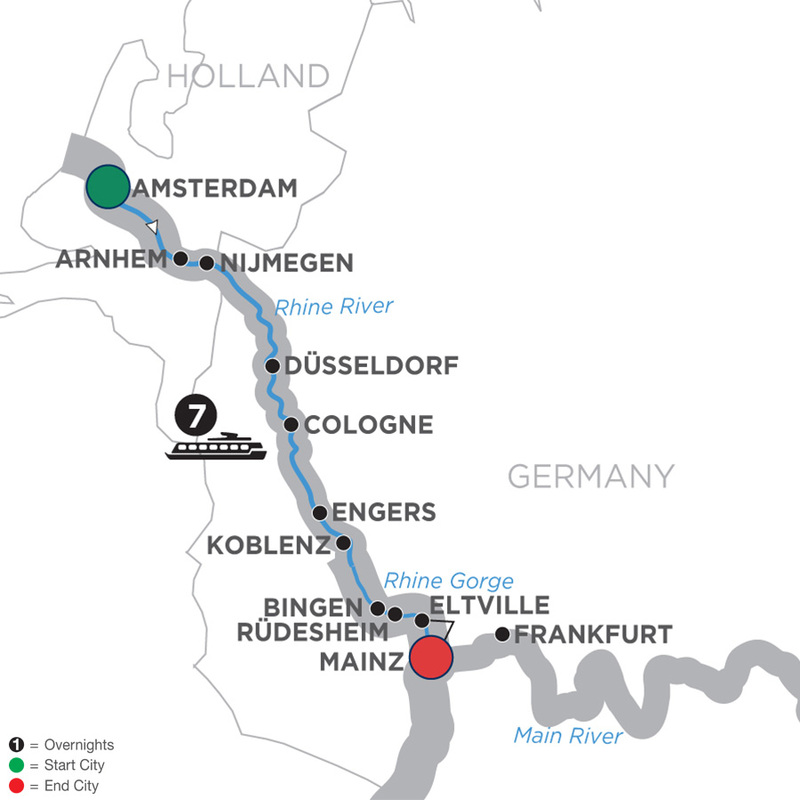 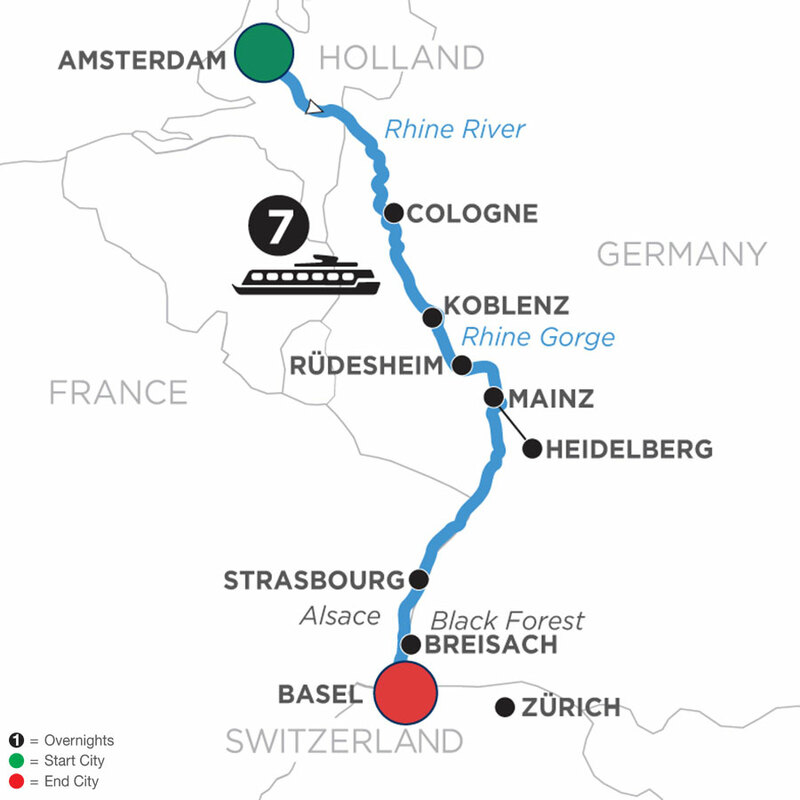 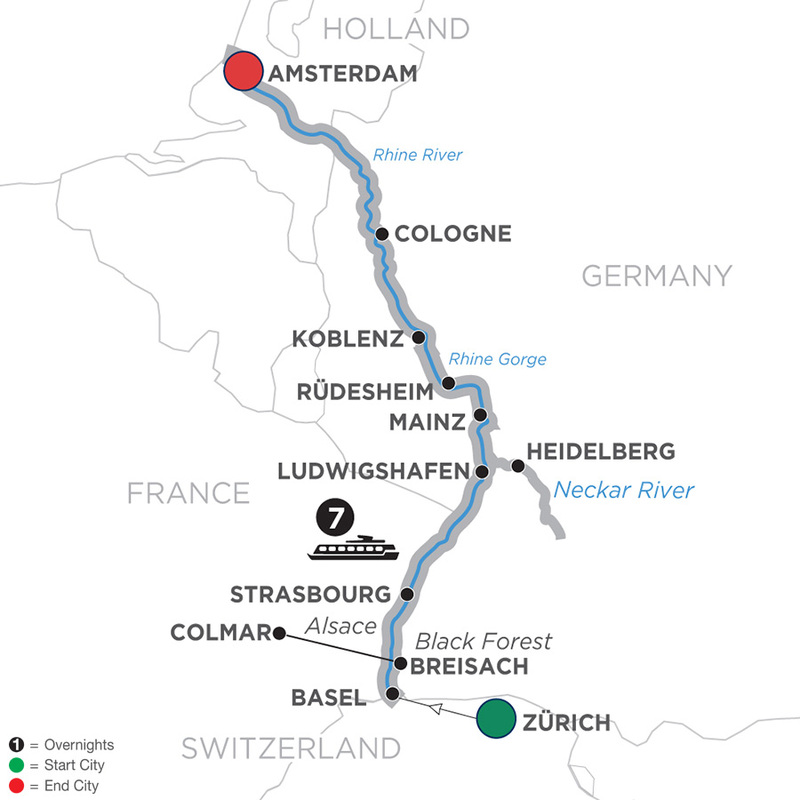 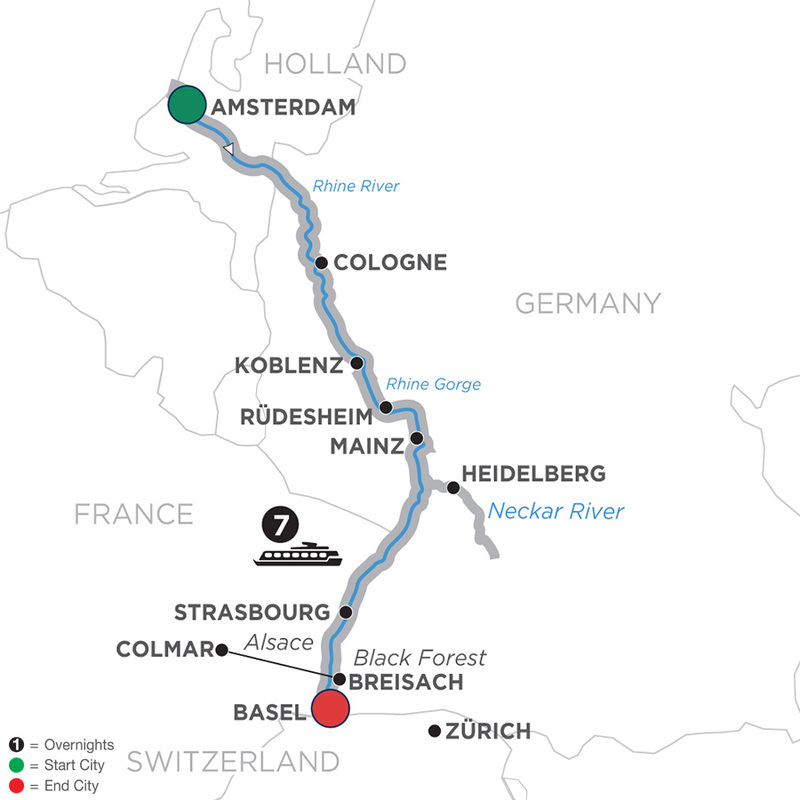 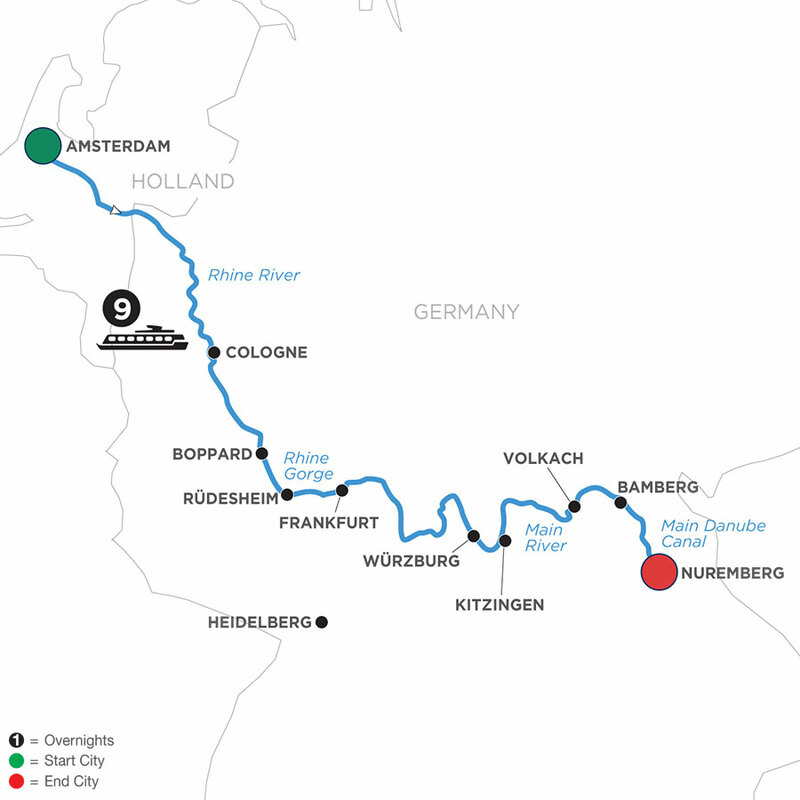 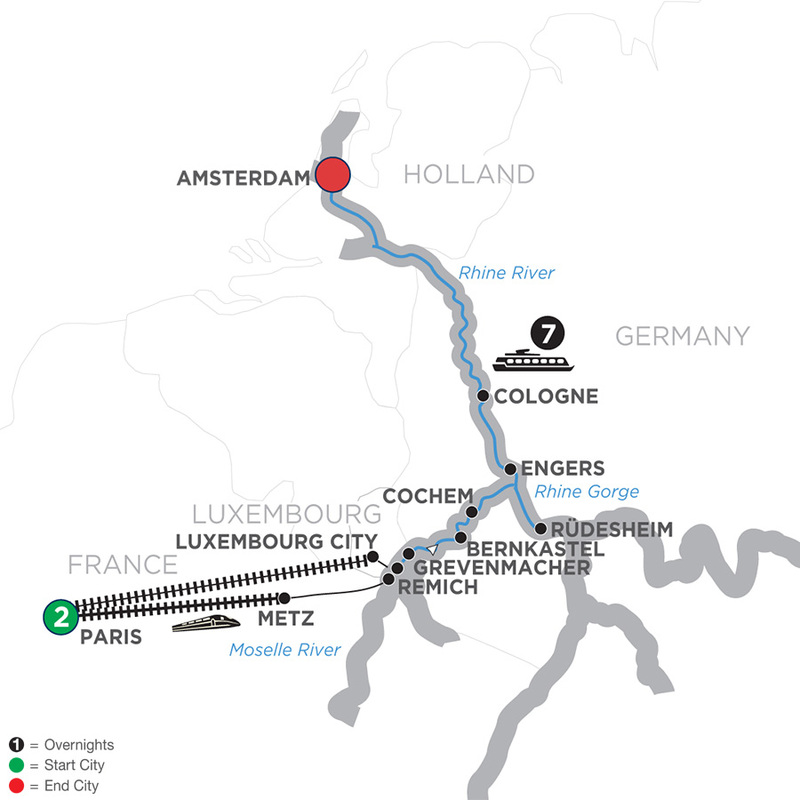 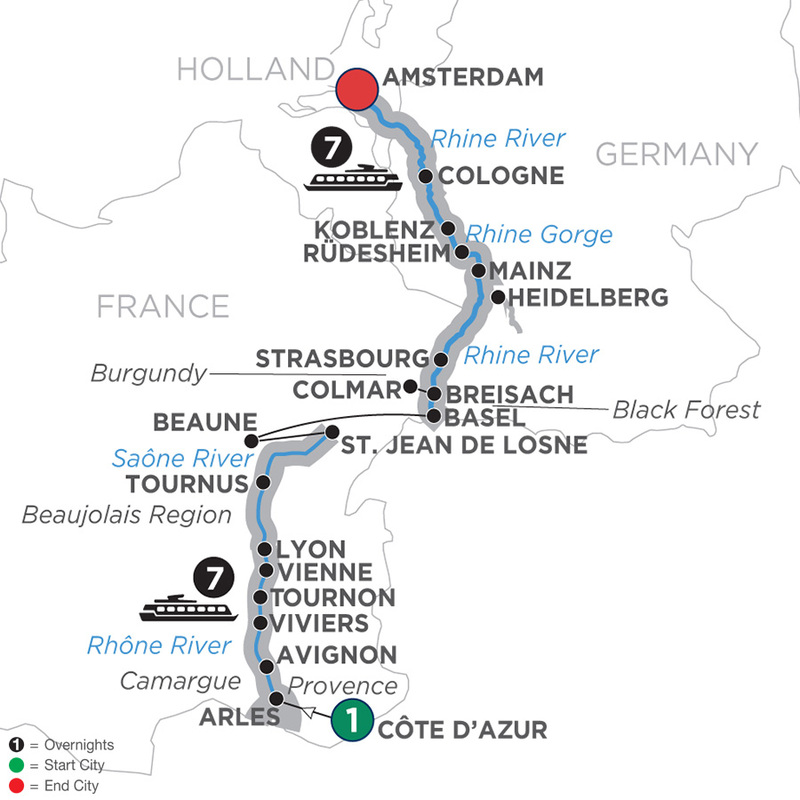 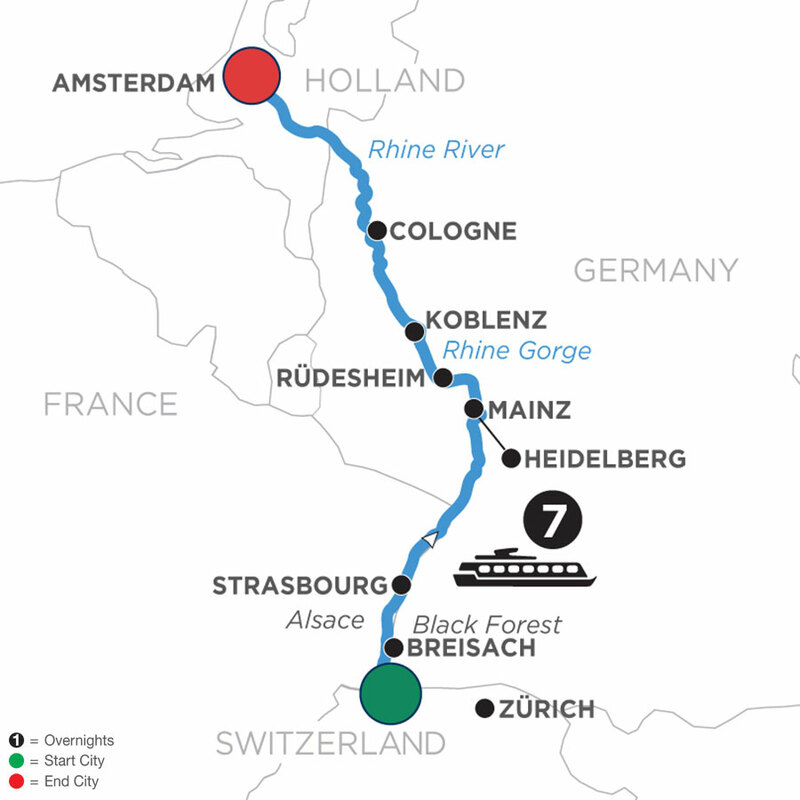 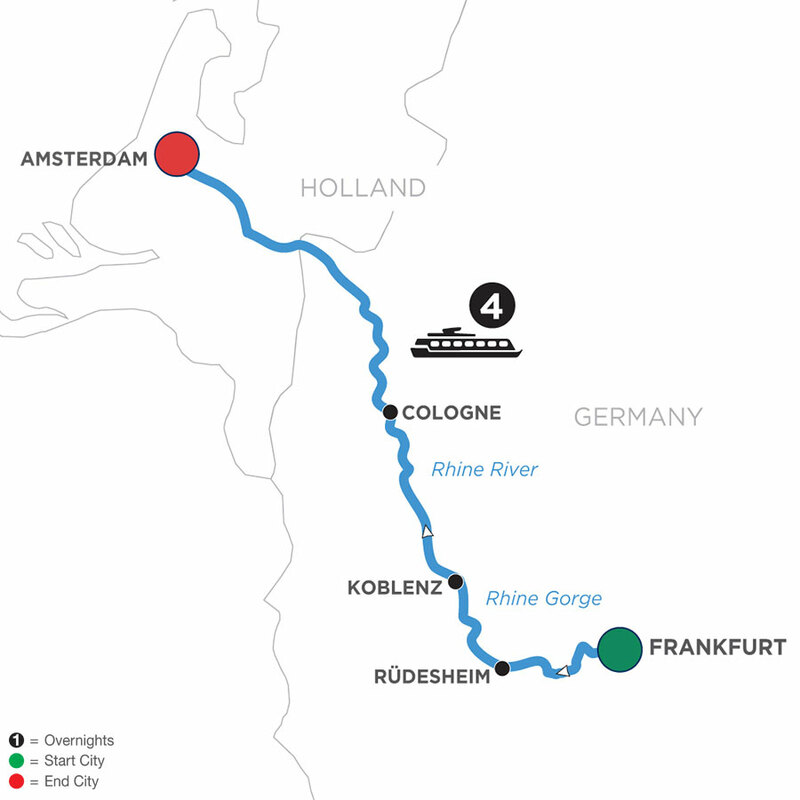 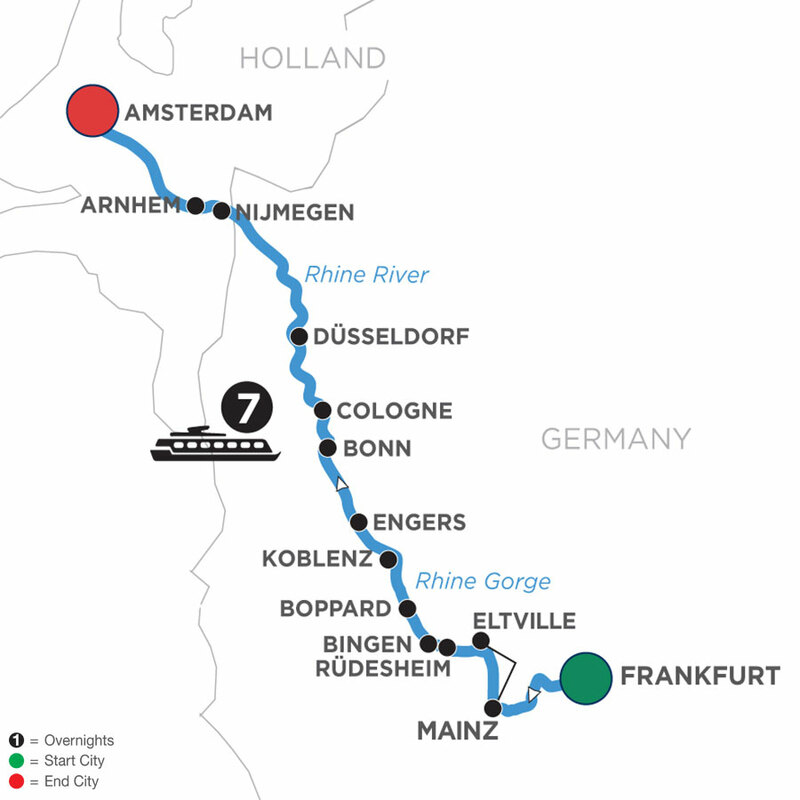 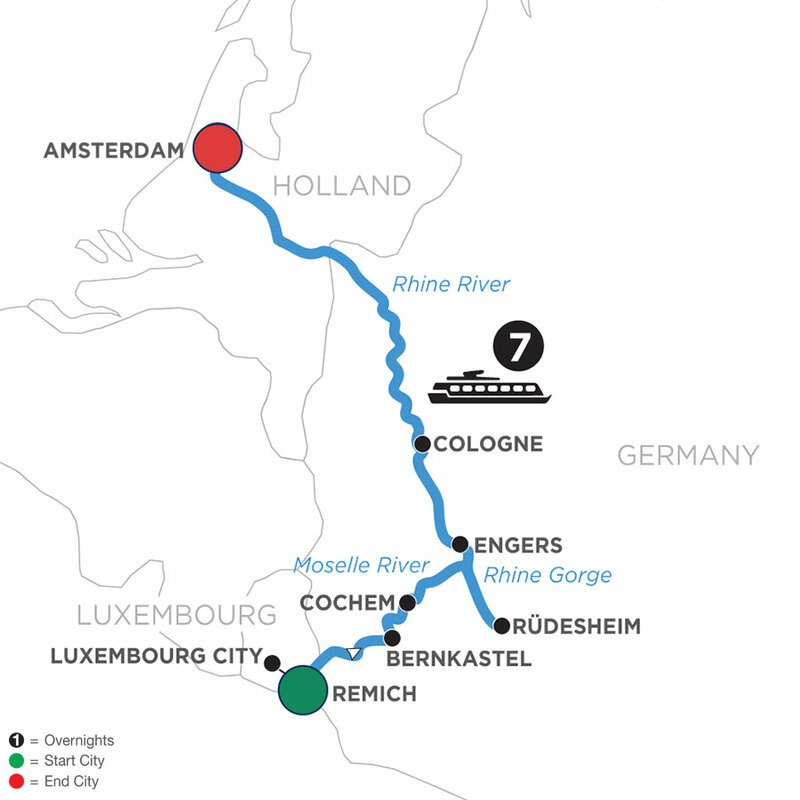 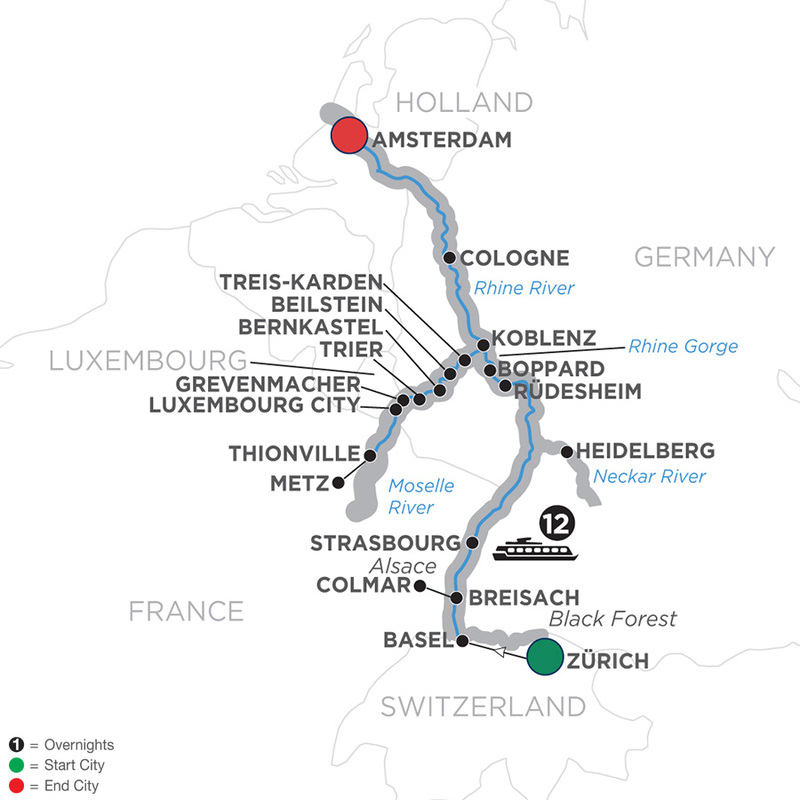 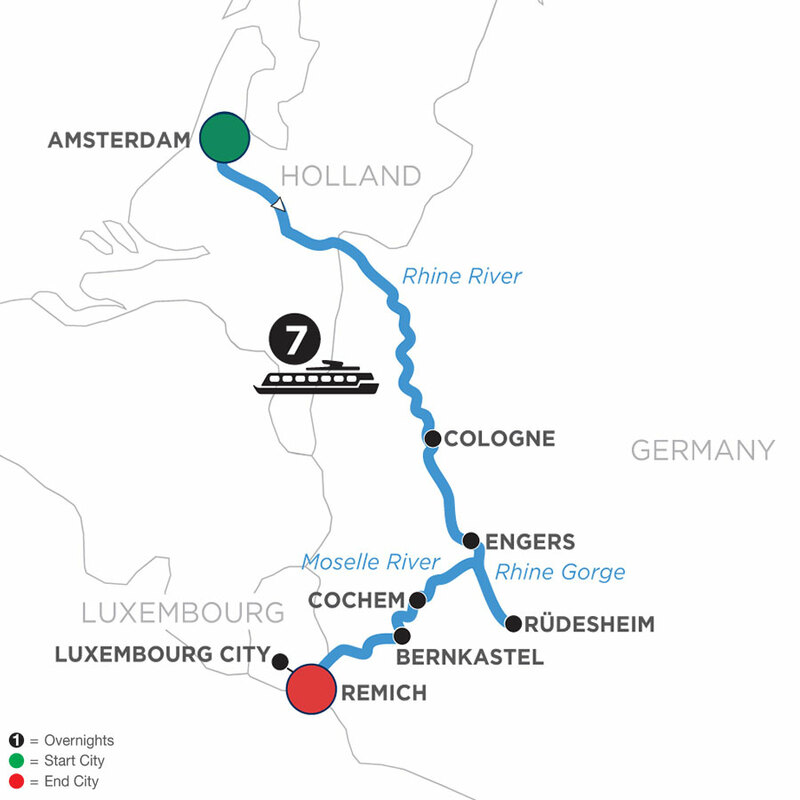 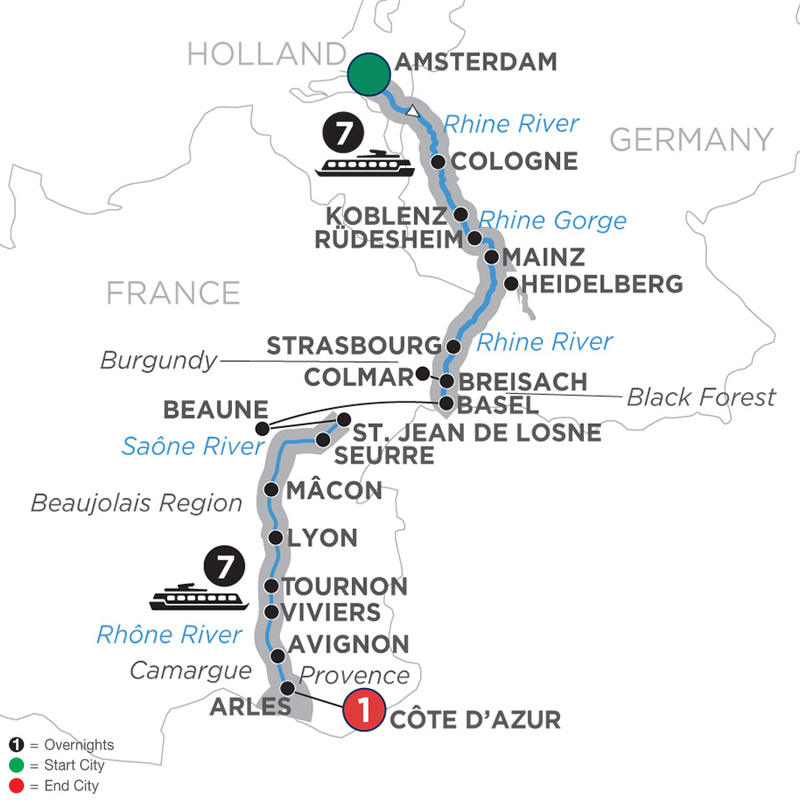 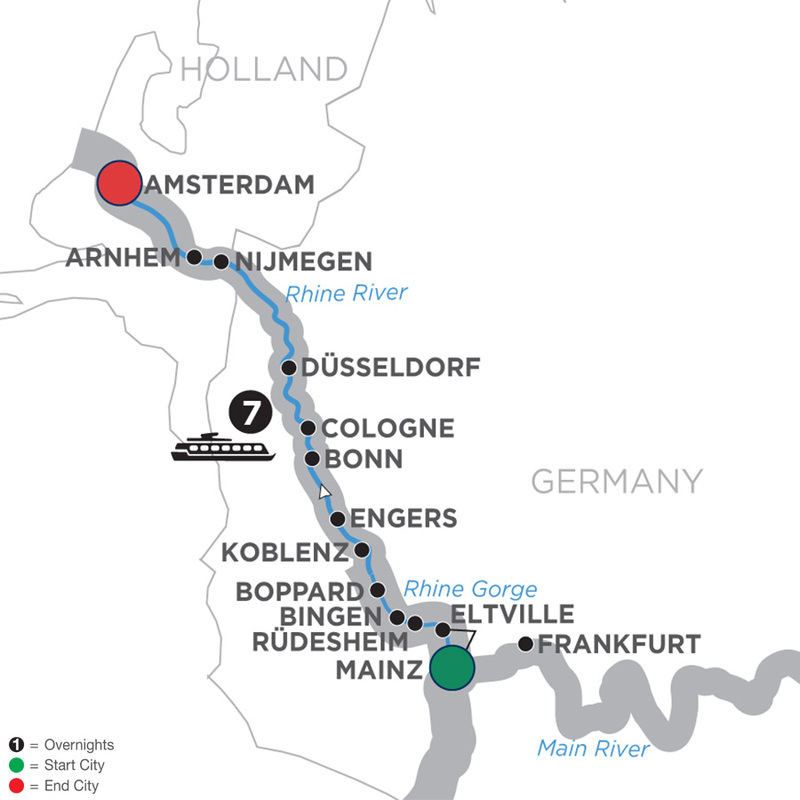 From the legendary canals of Amsterdam to the German Black Forest of fairytales, any one of the Rhine river cruise packages will charm and delight. 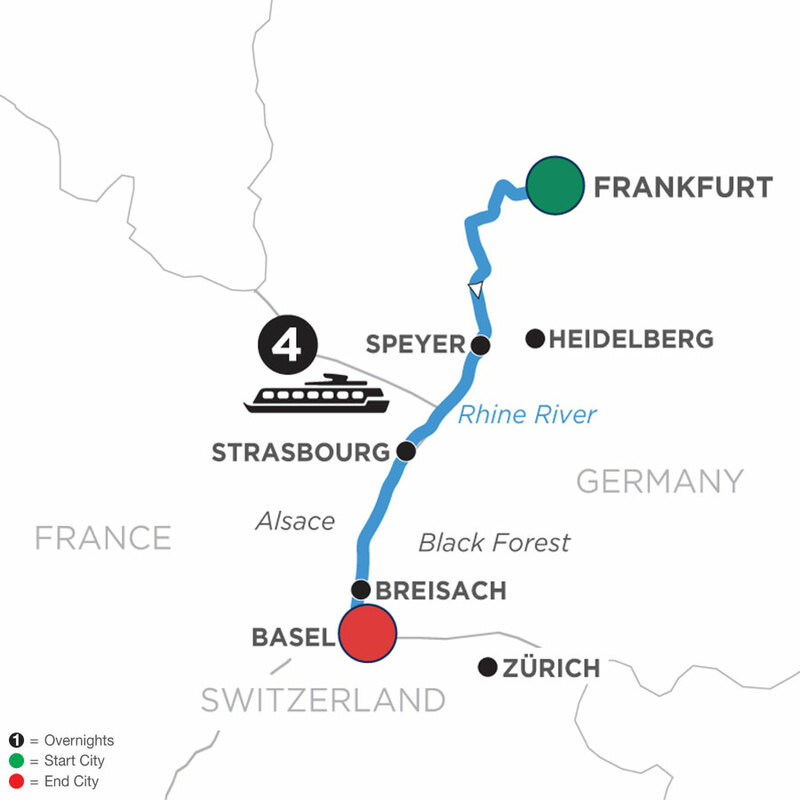 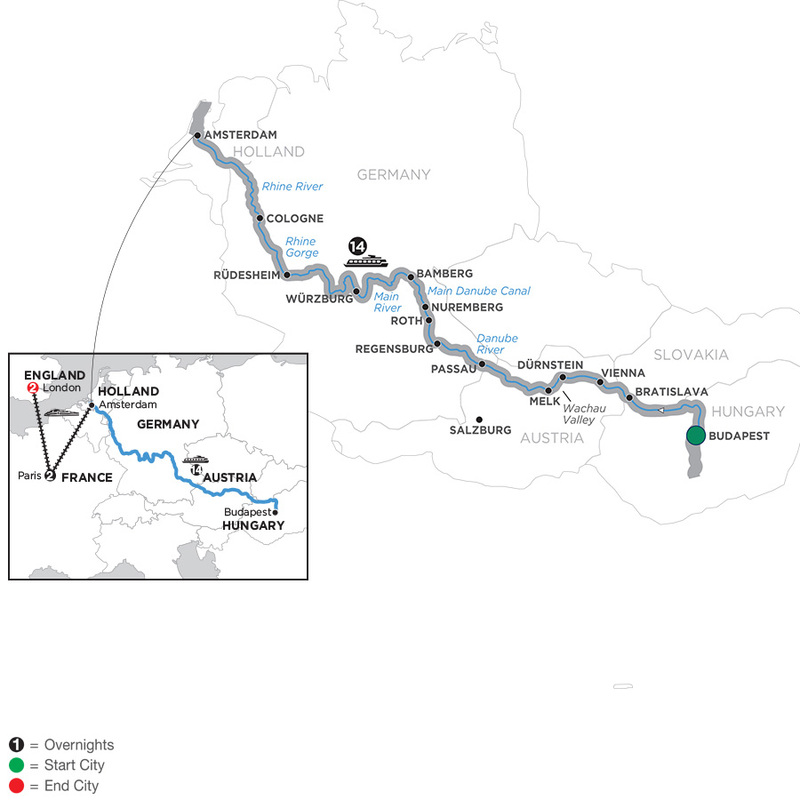 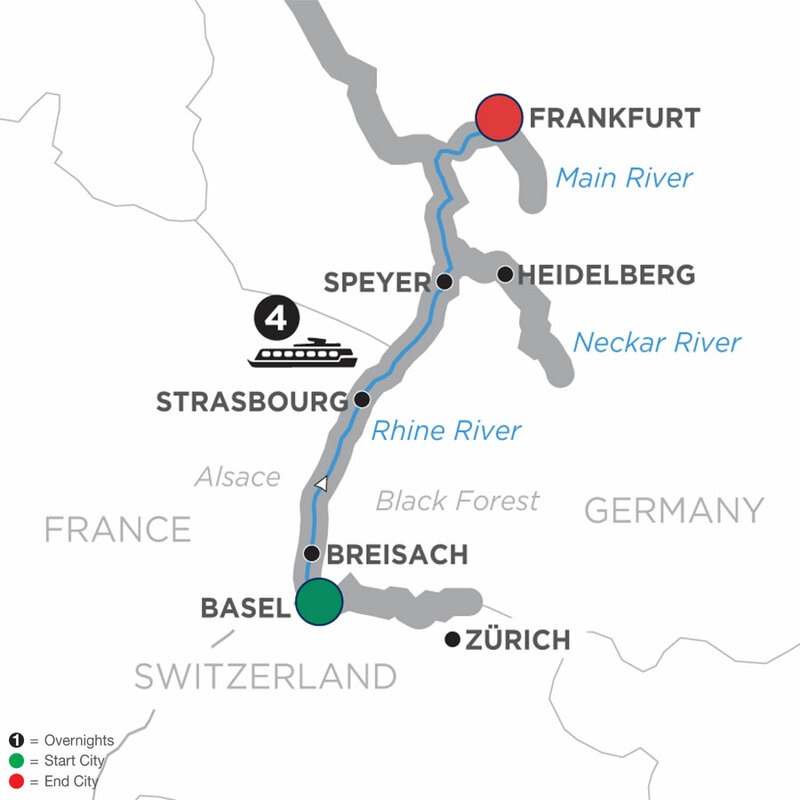 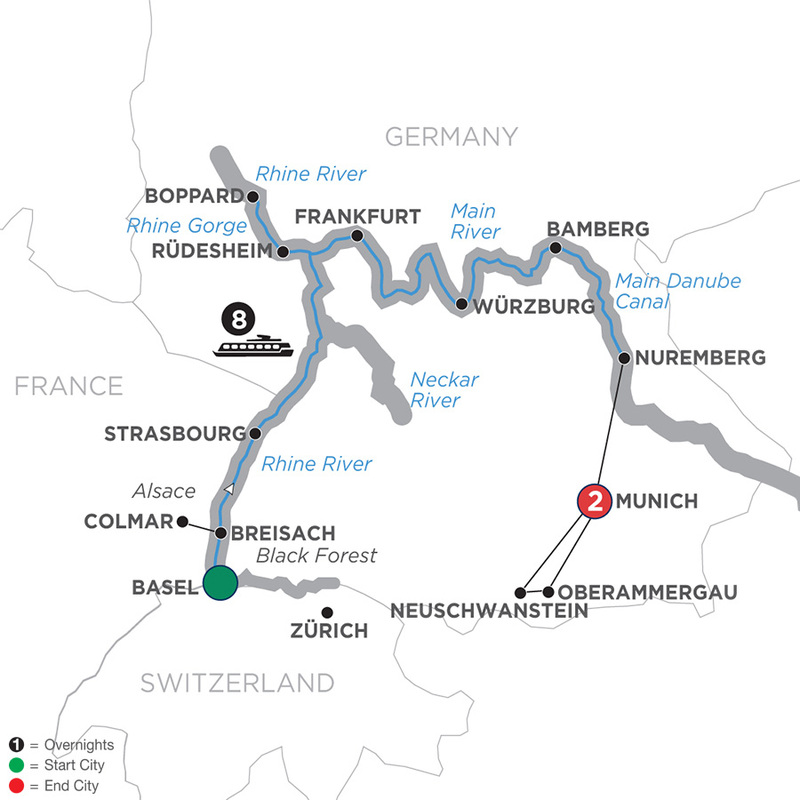 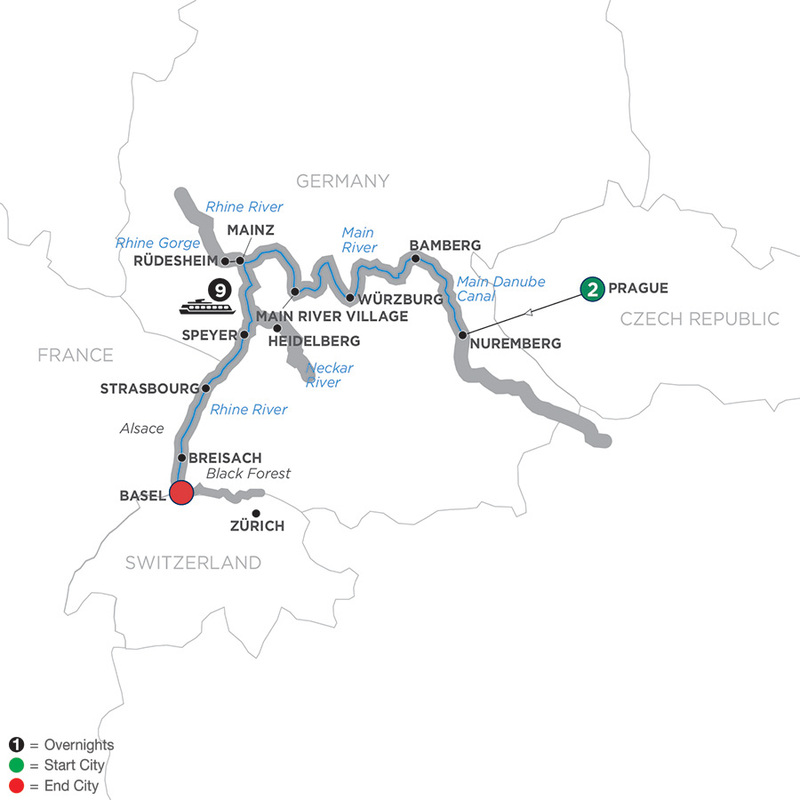 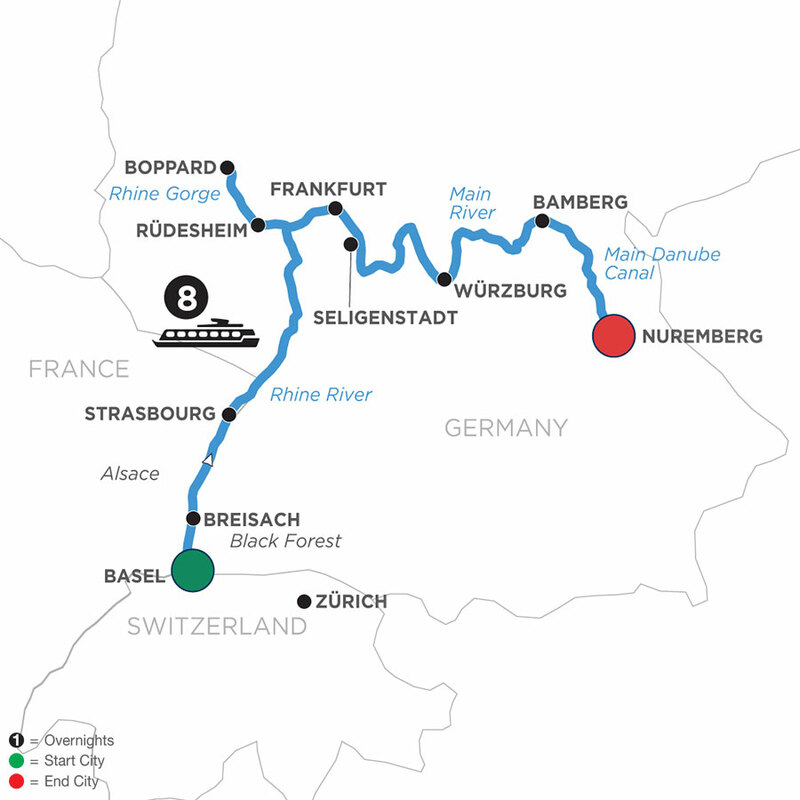 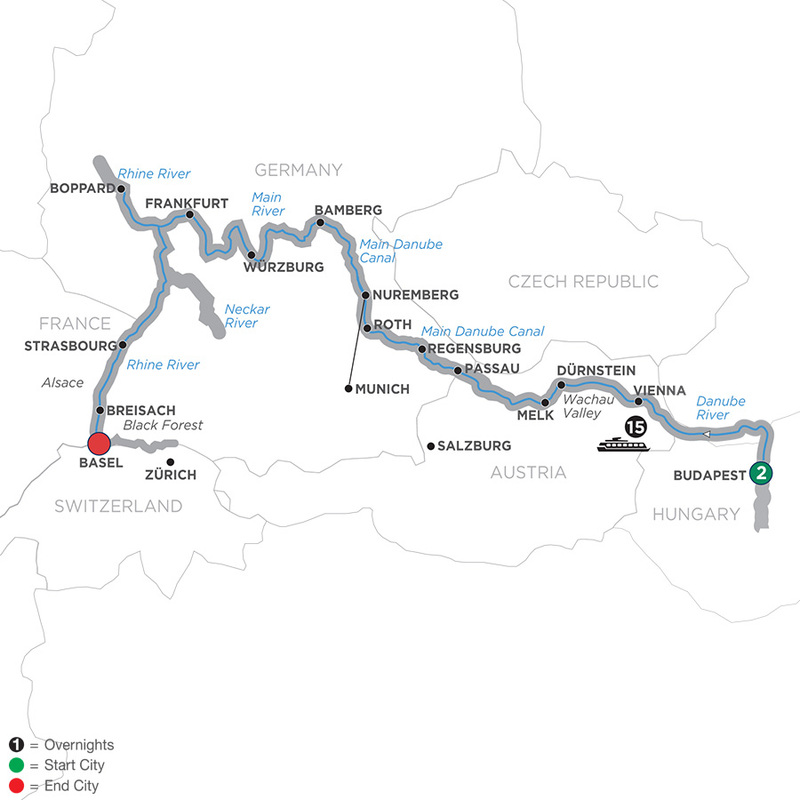 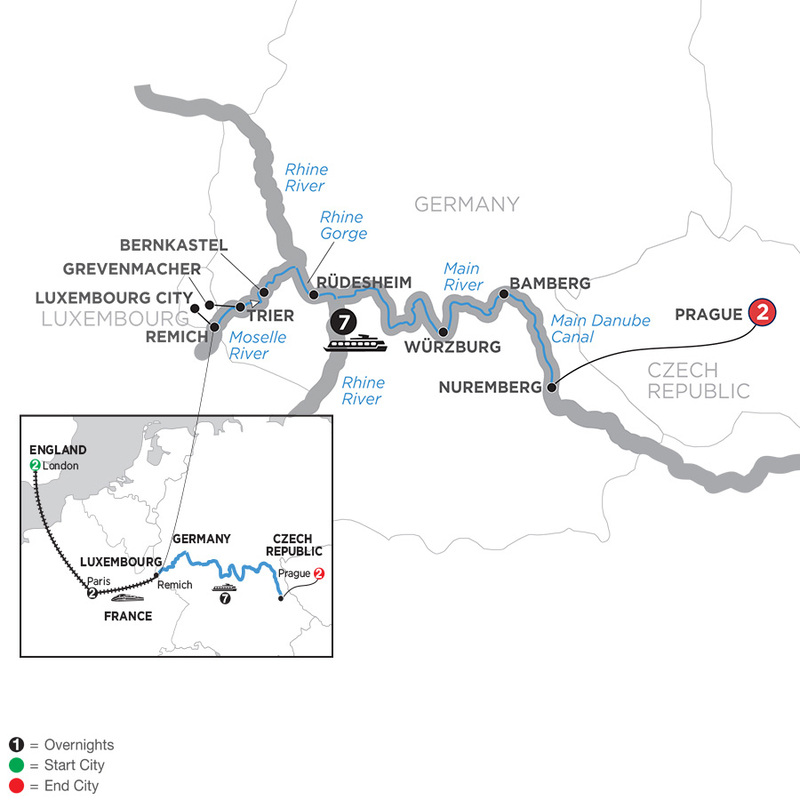 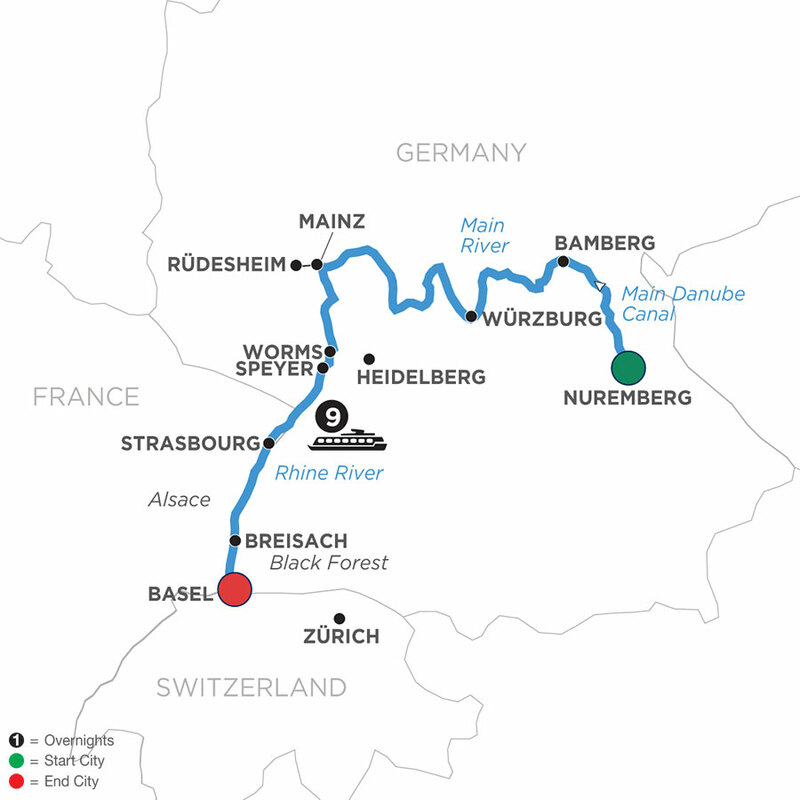 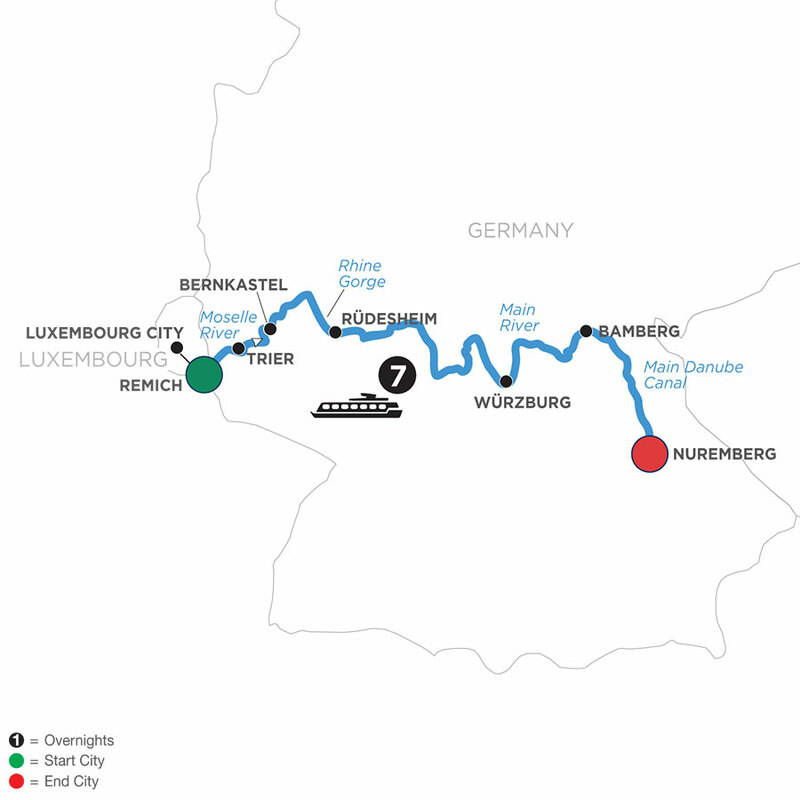 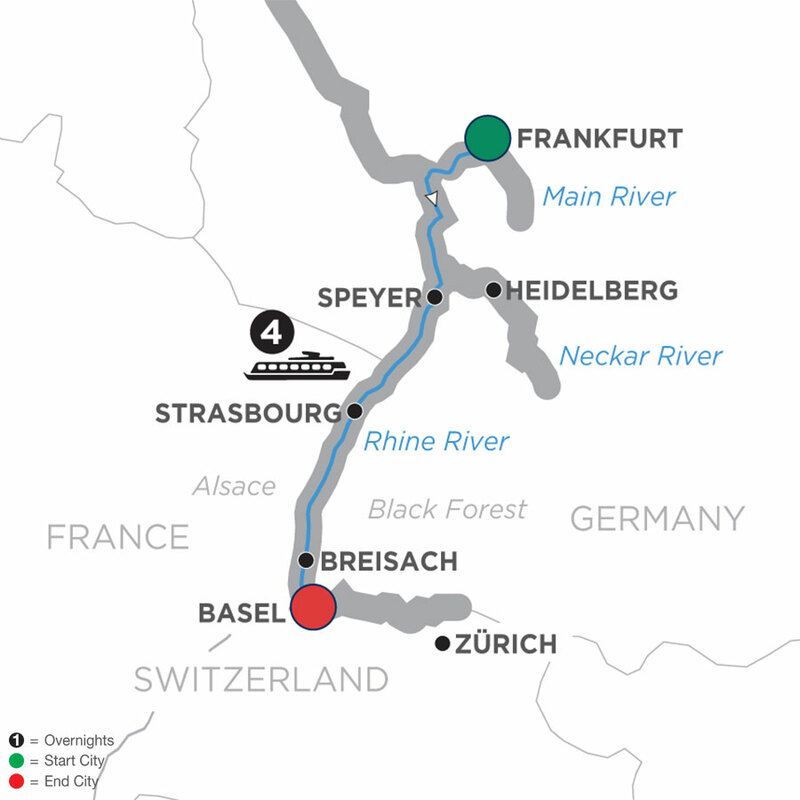 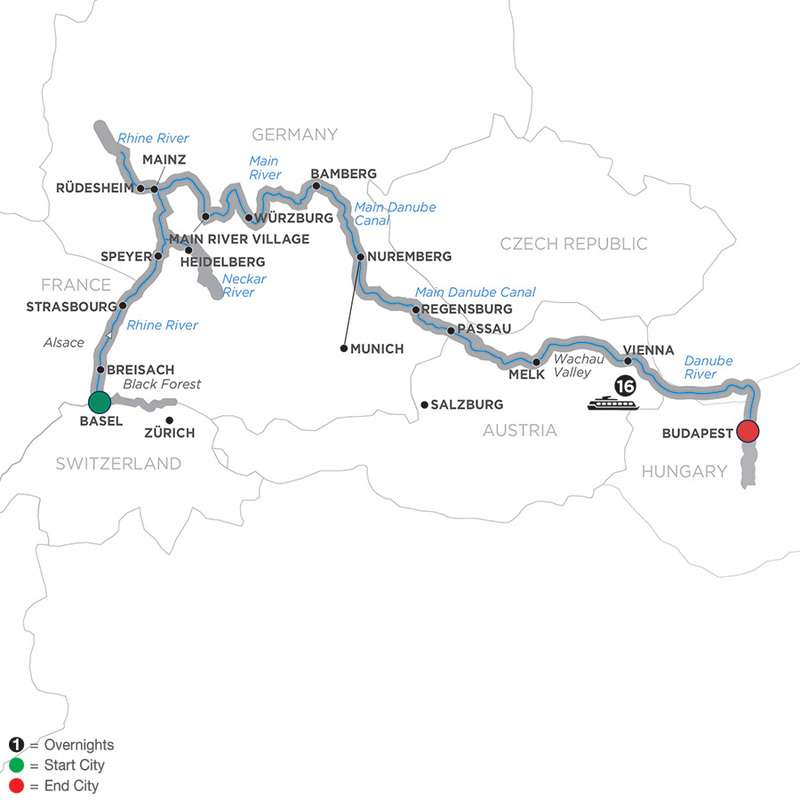 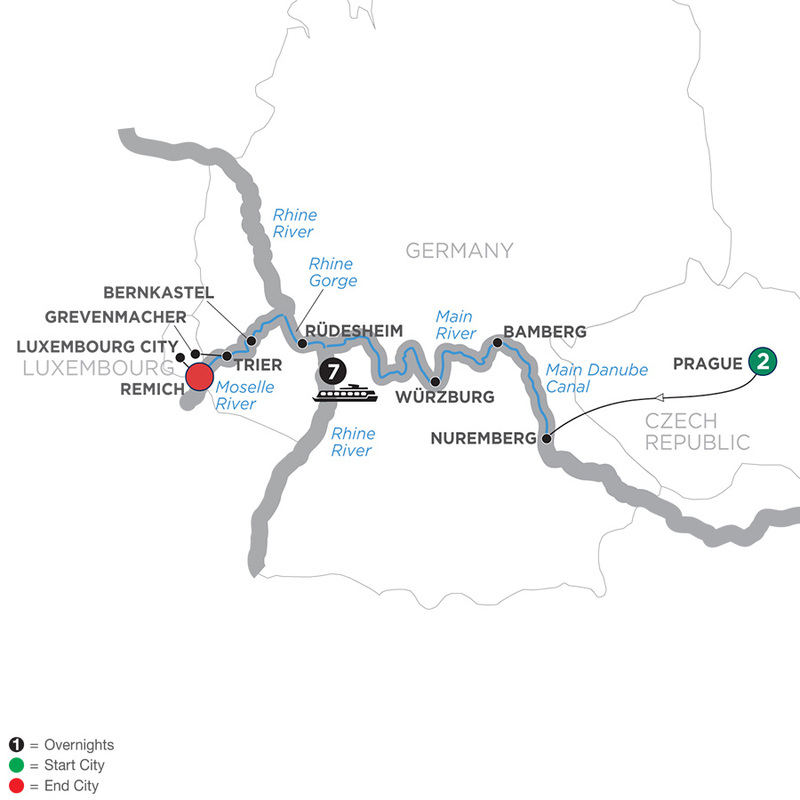 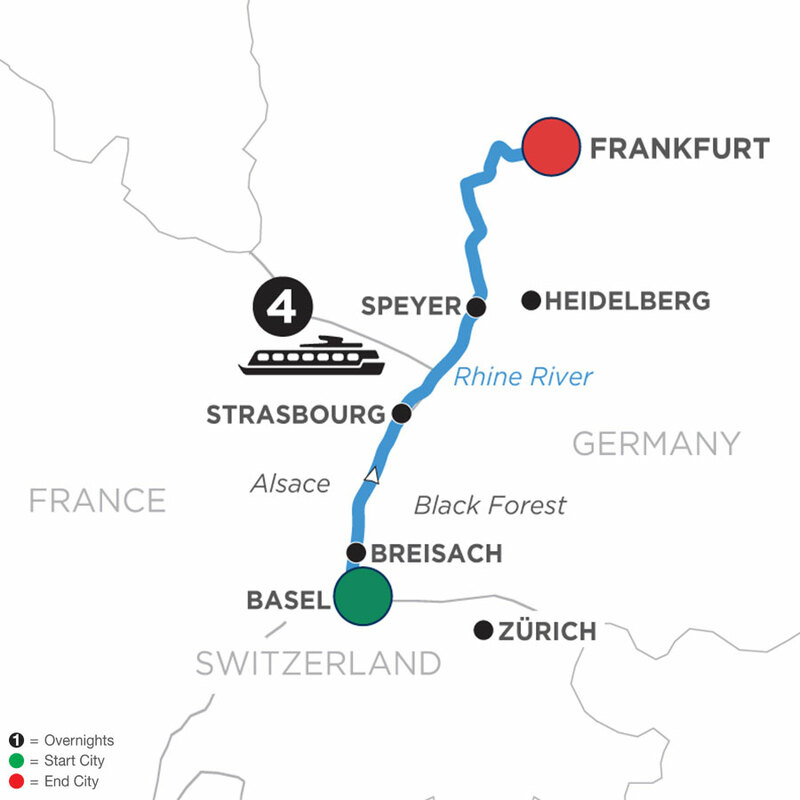 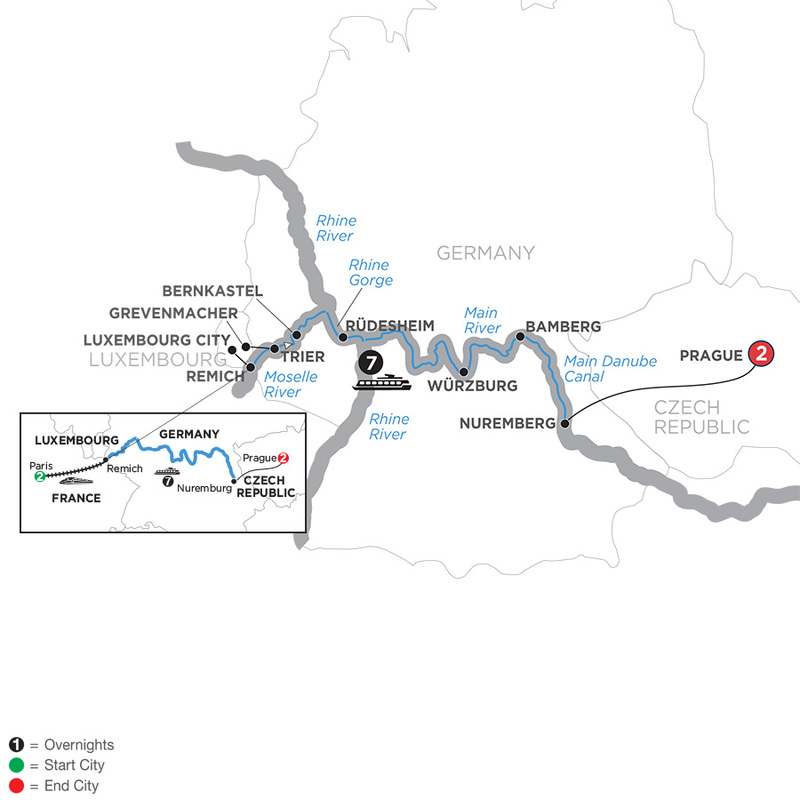 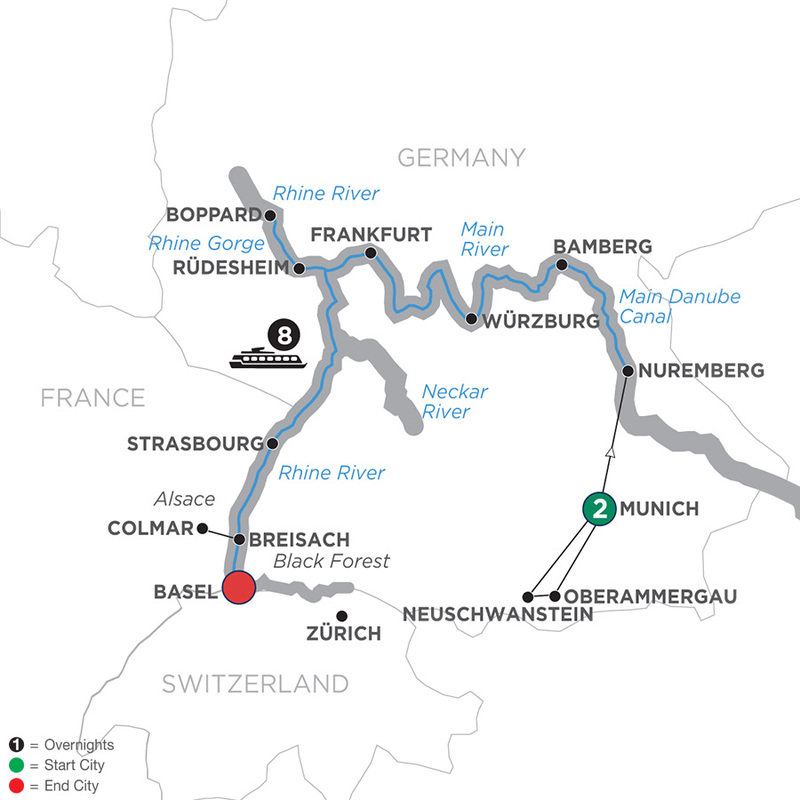 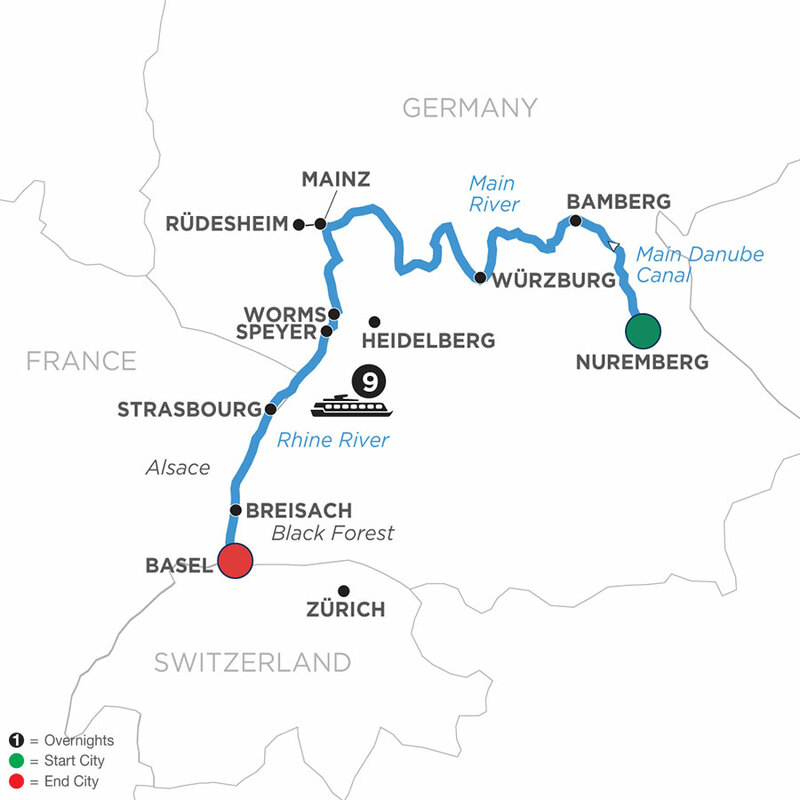 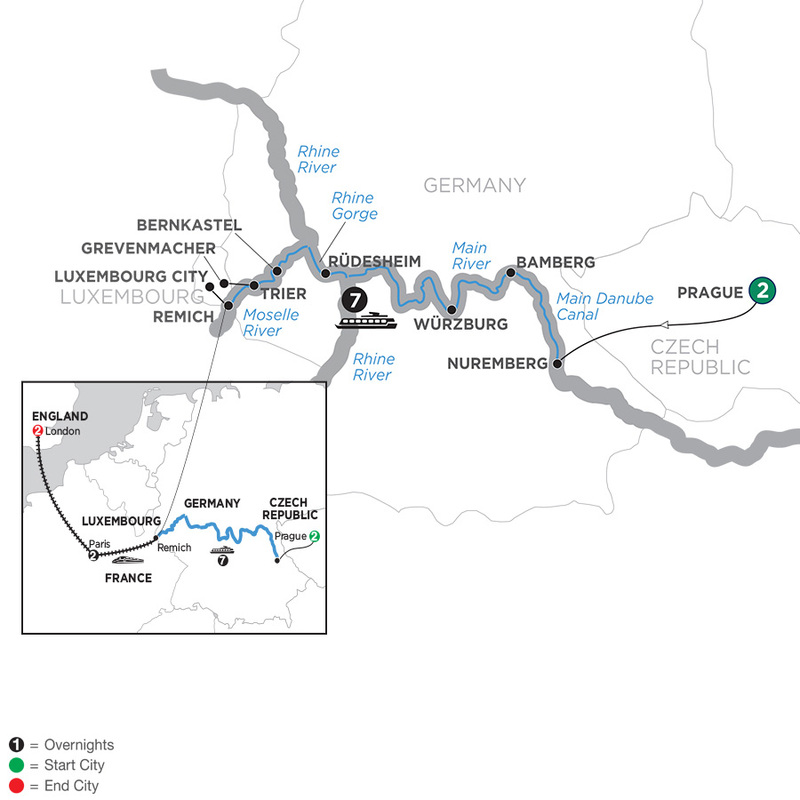 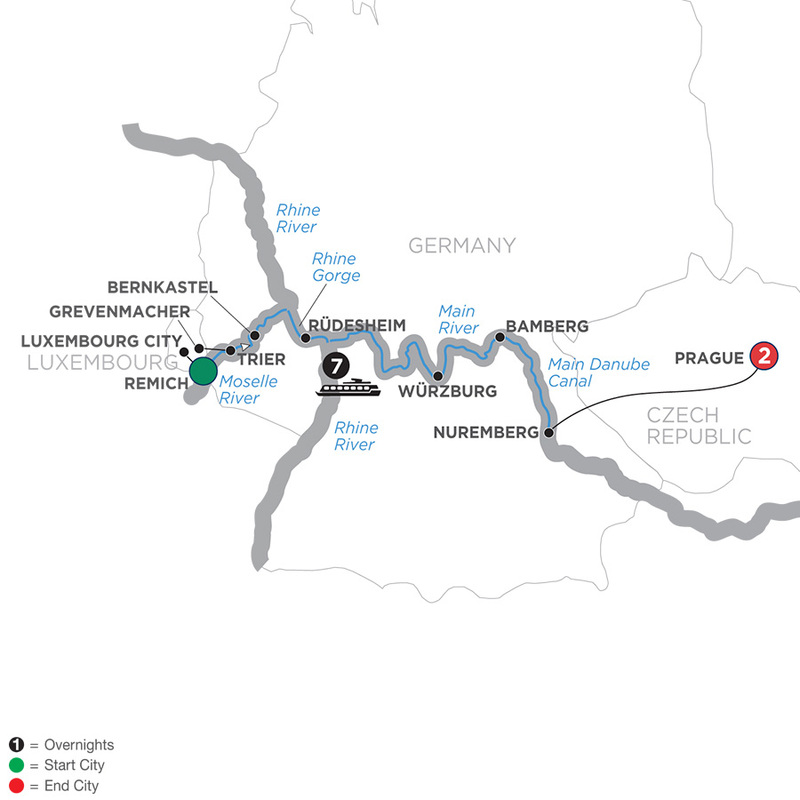 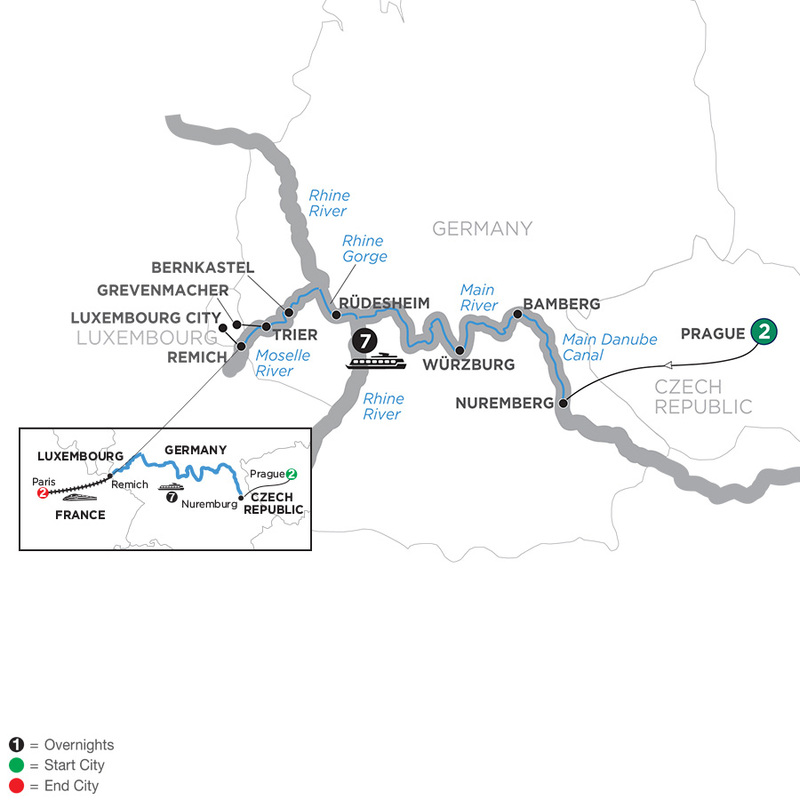 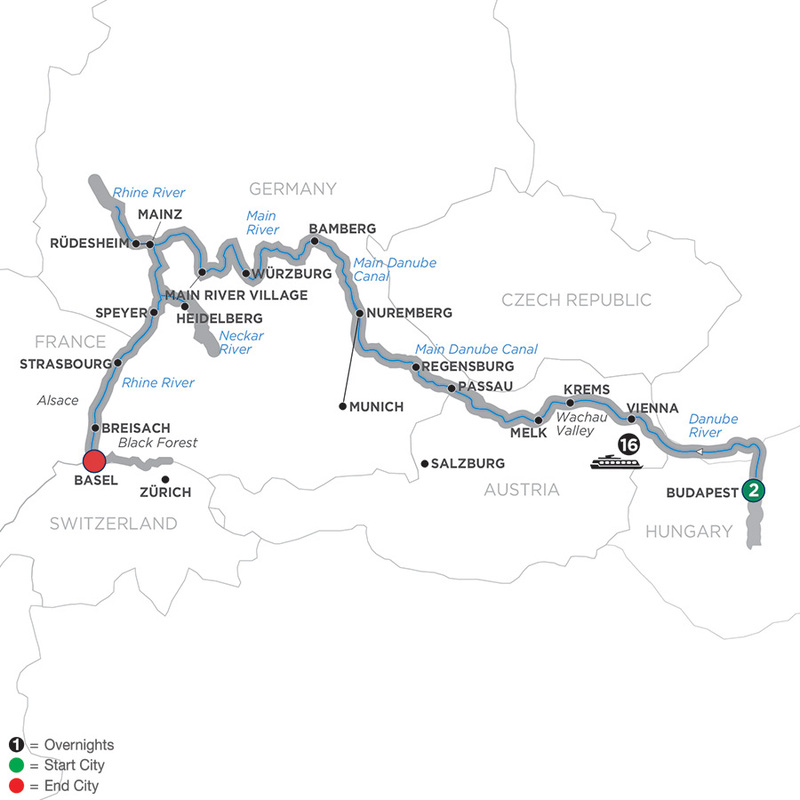 Our Rhine river cruises include visits to some of Central Europe's cultural hubs, where art, fine dining and historic sites abound. 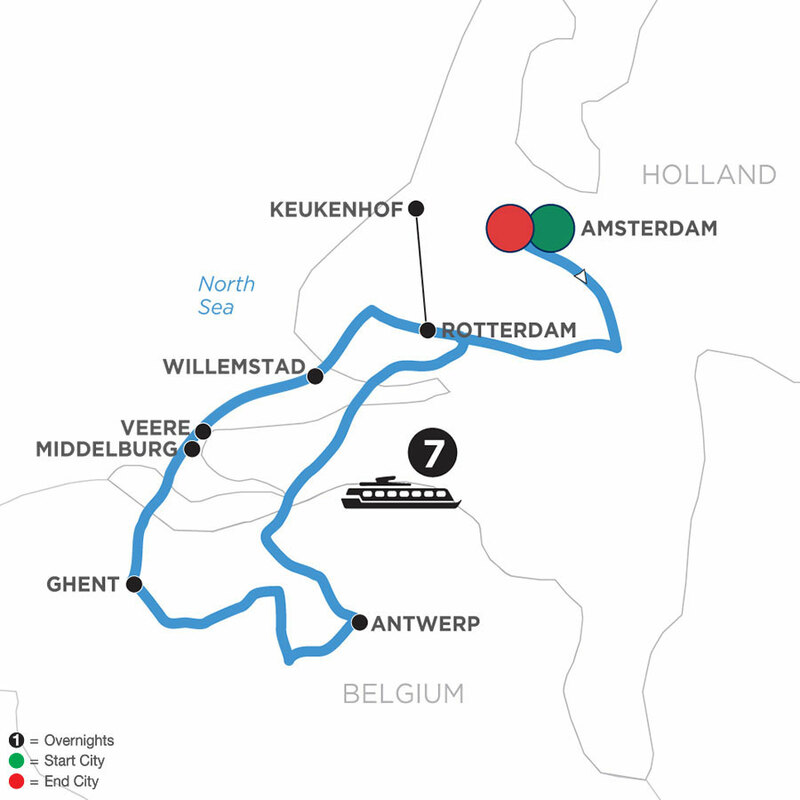 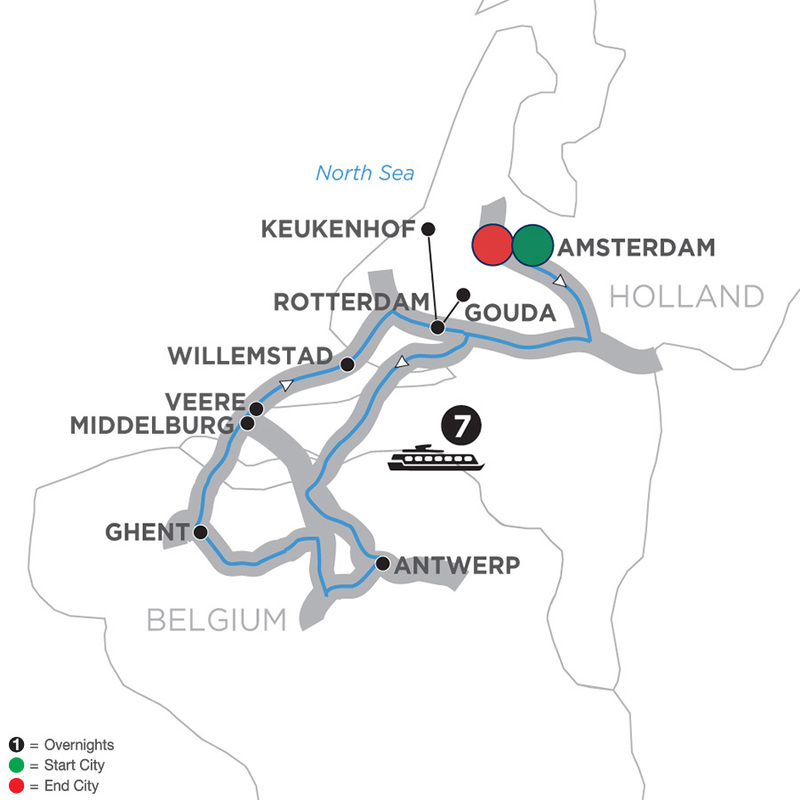 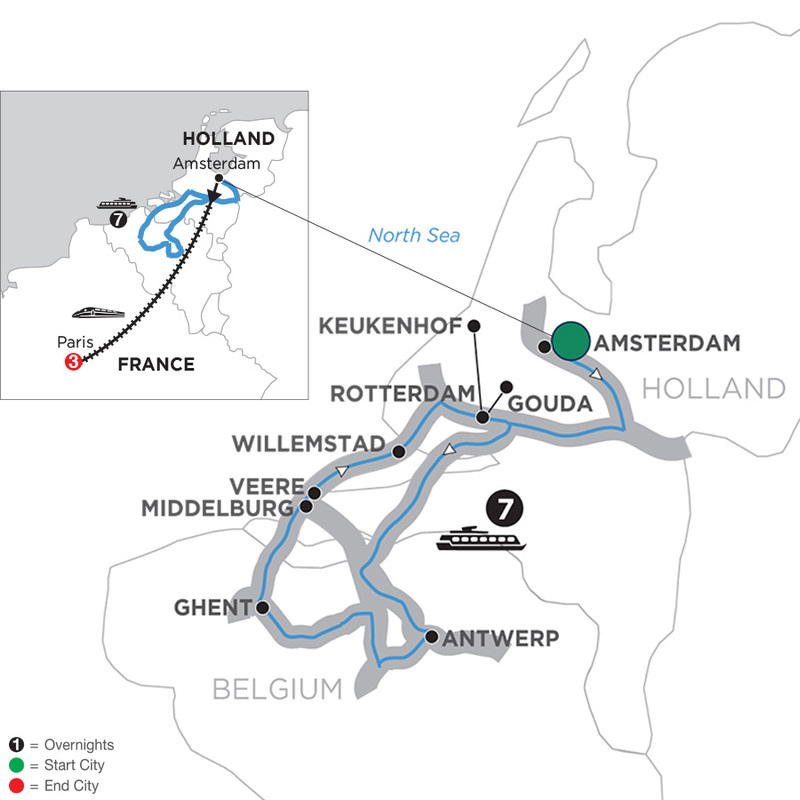 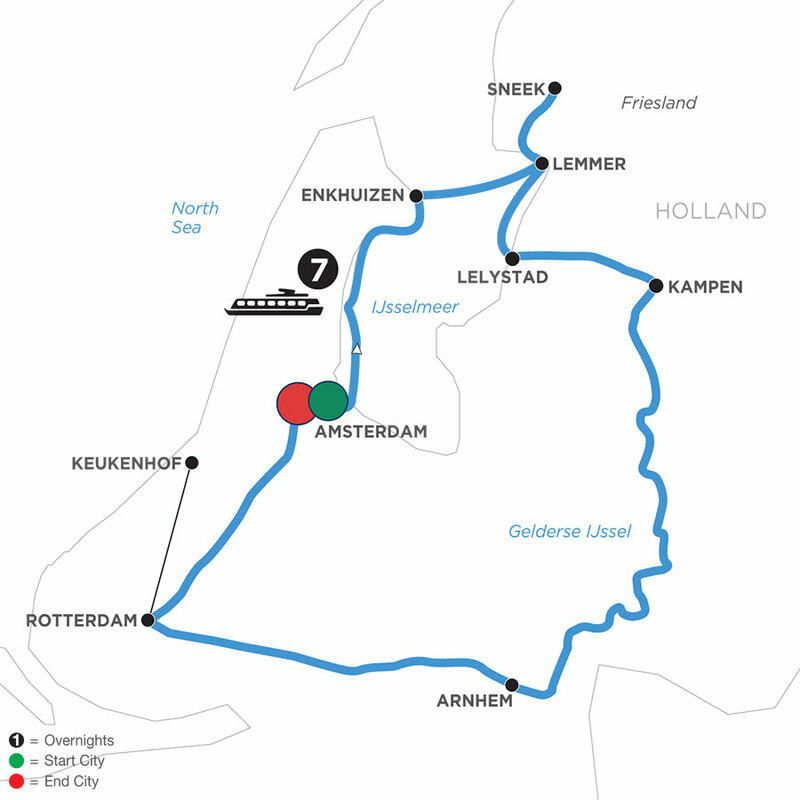 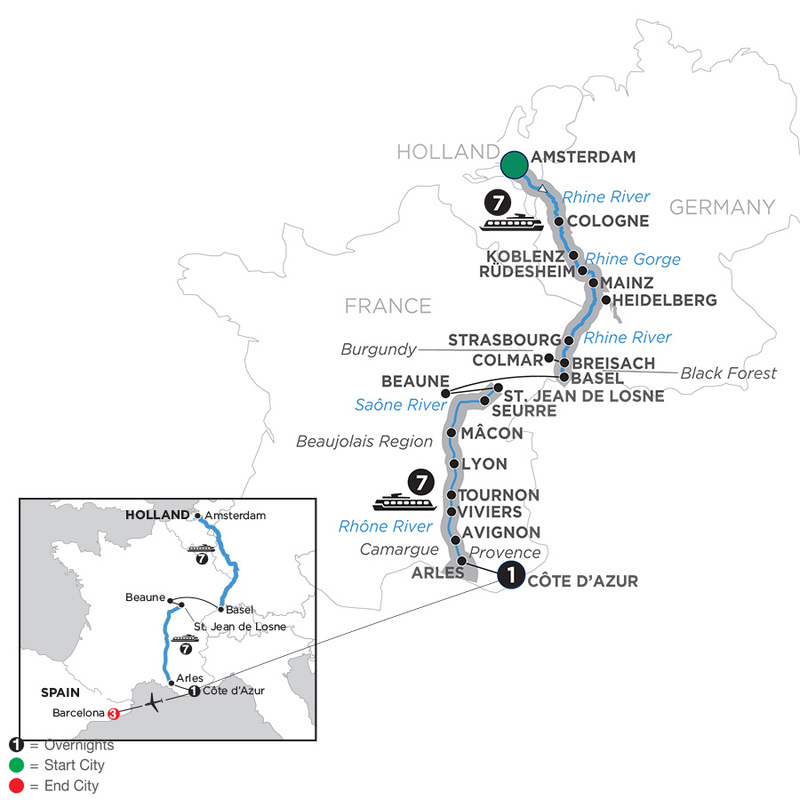 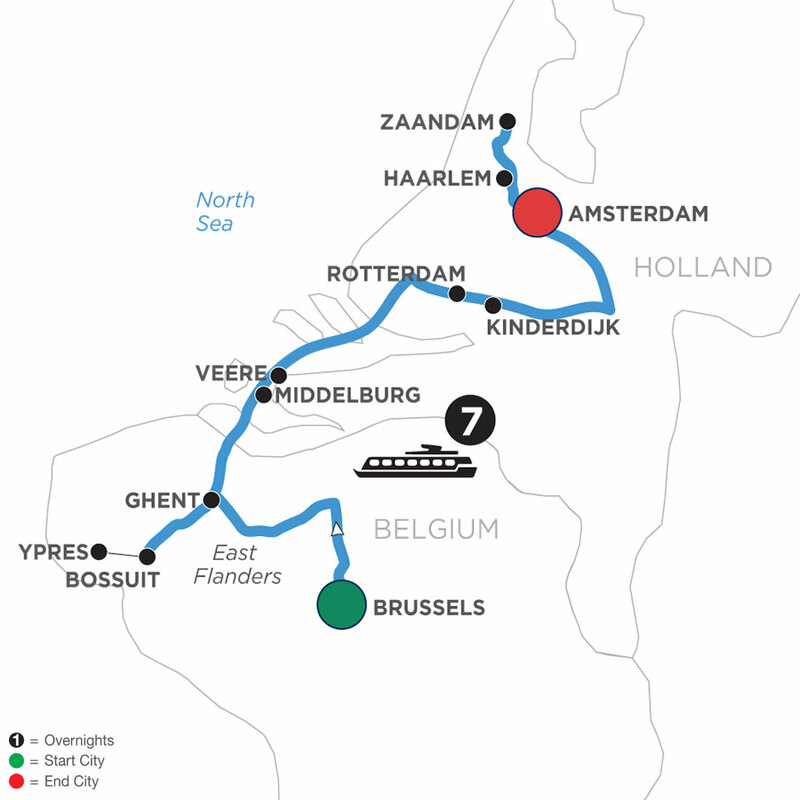 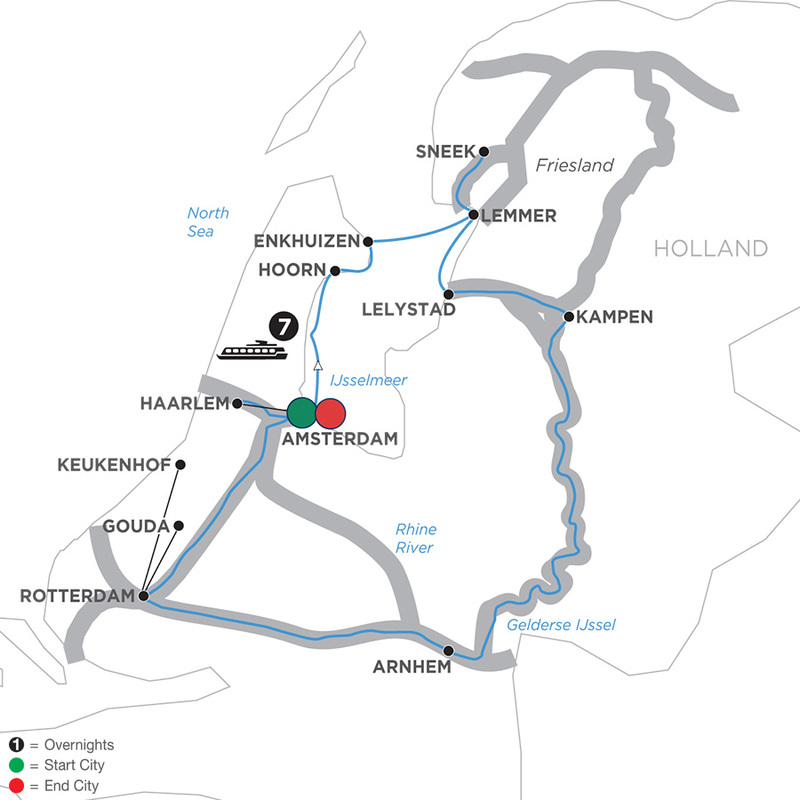 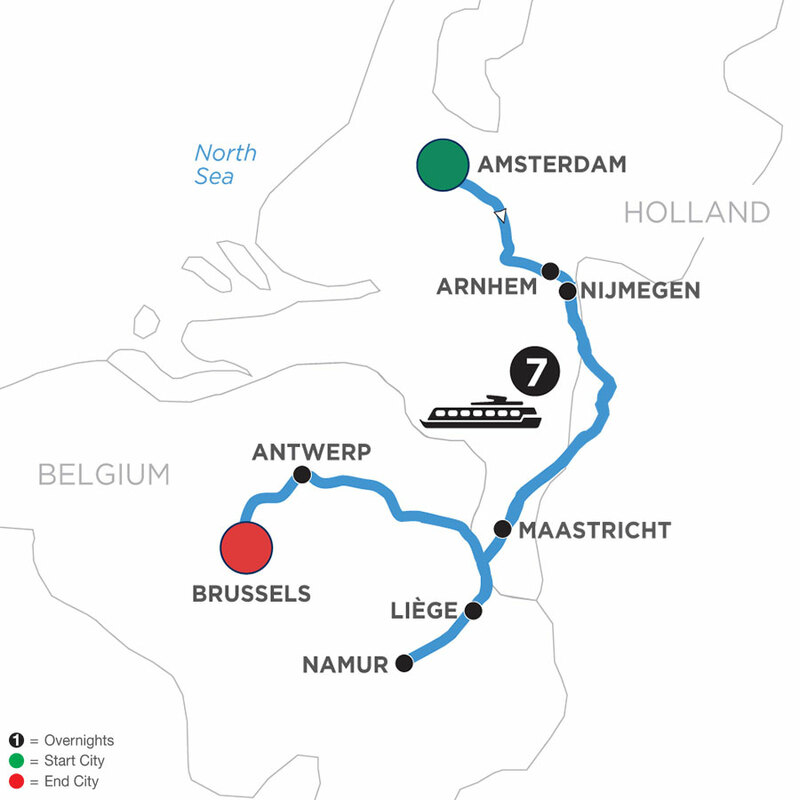 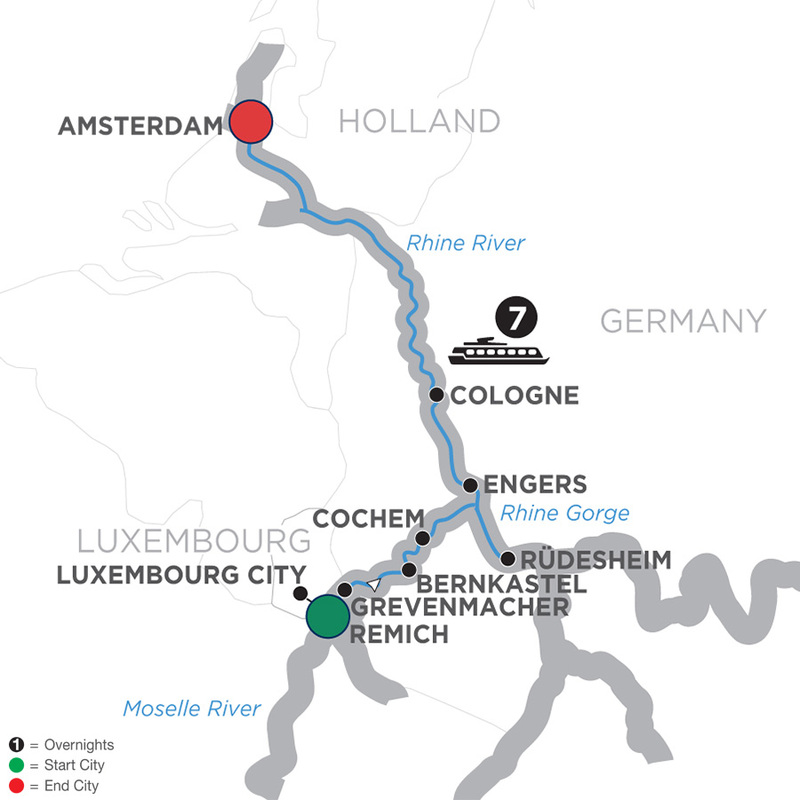 Choose a special Rhine cruise through the blooming tulip fields of northern Holland. 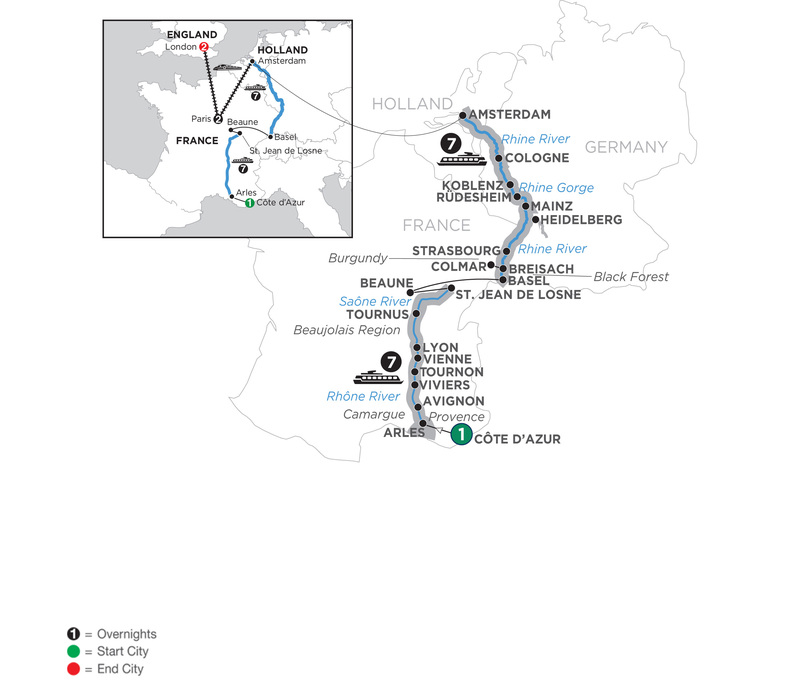 Perhaps gliding through majestic vineyards outside Paris is more your style. 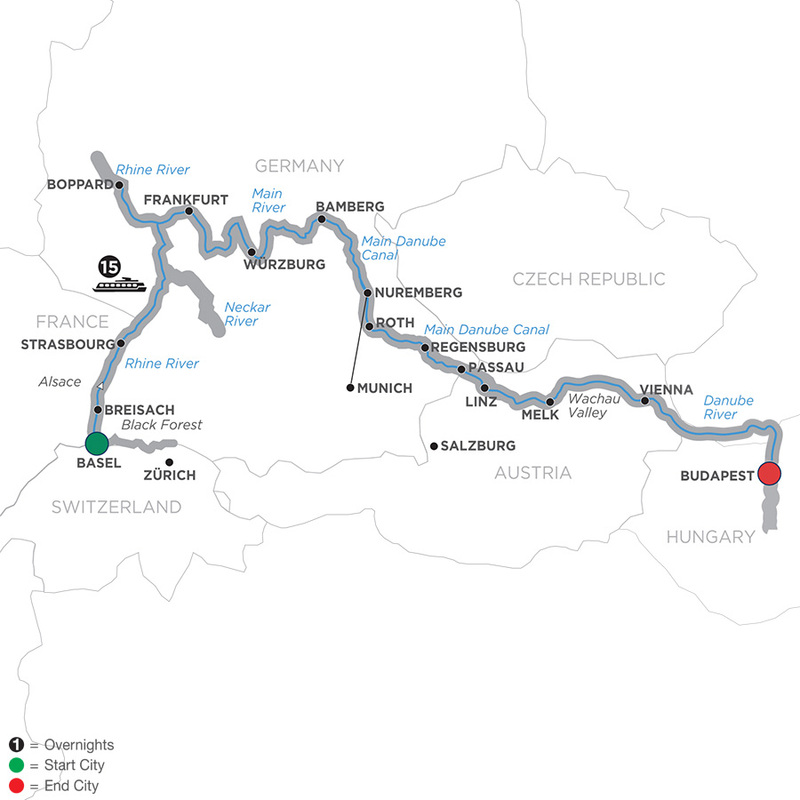 Or select a Christmastime cruise with excursions to magical holiday markets. 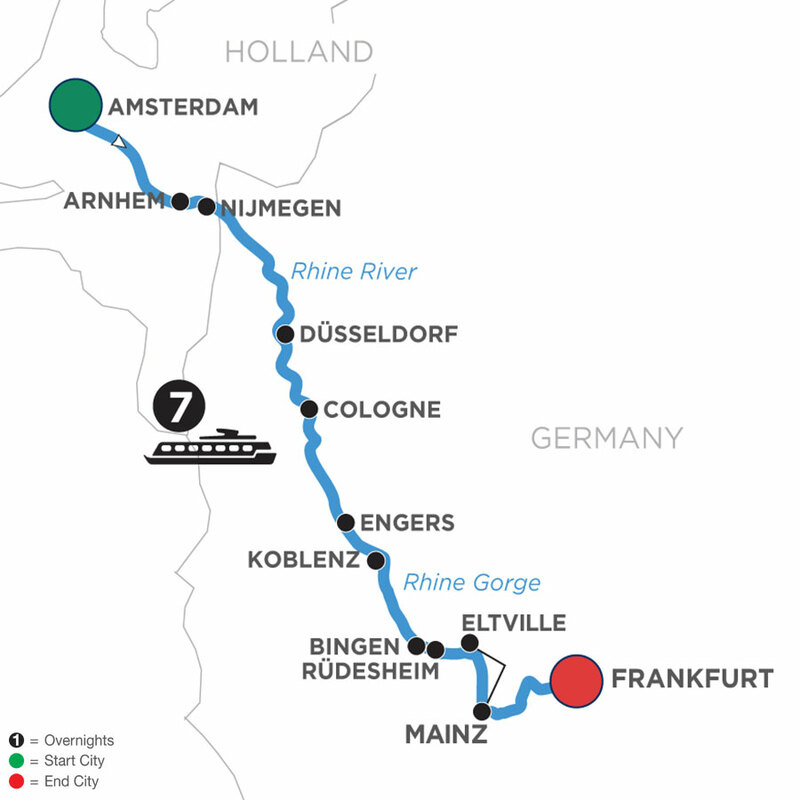 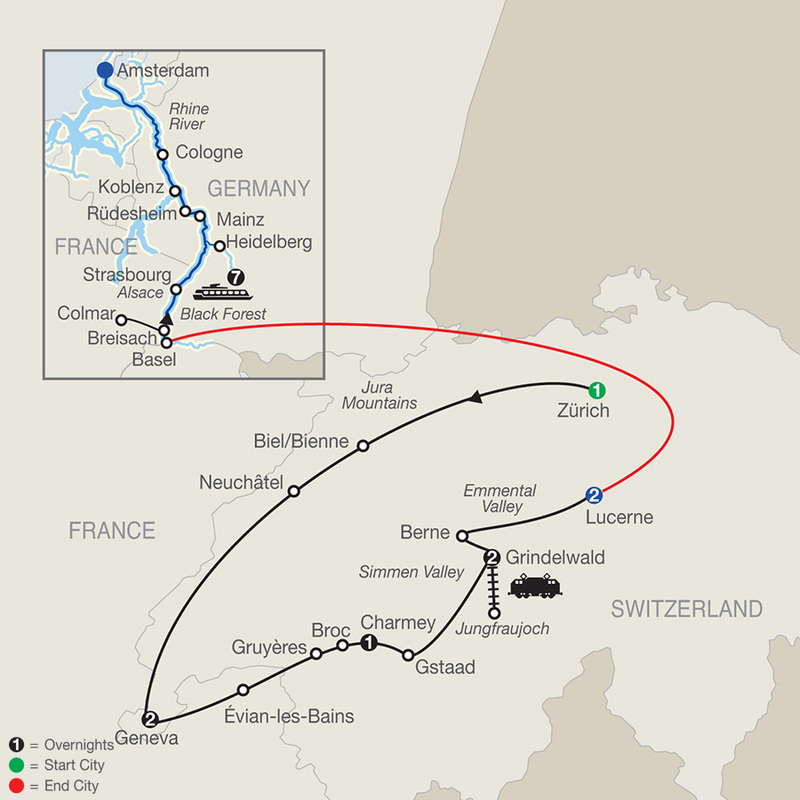 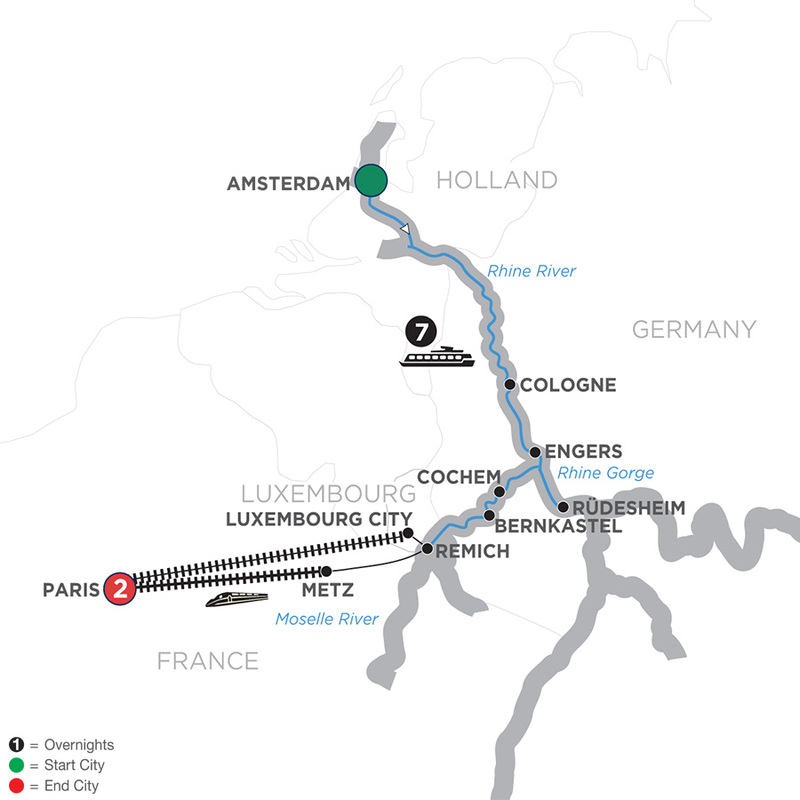 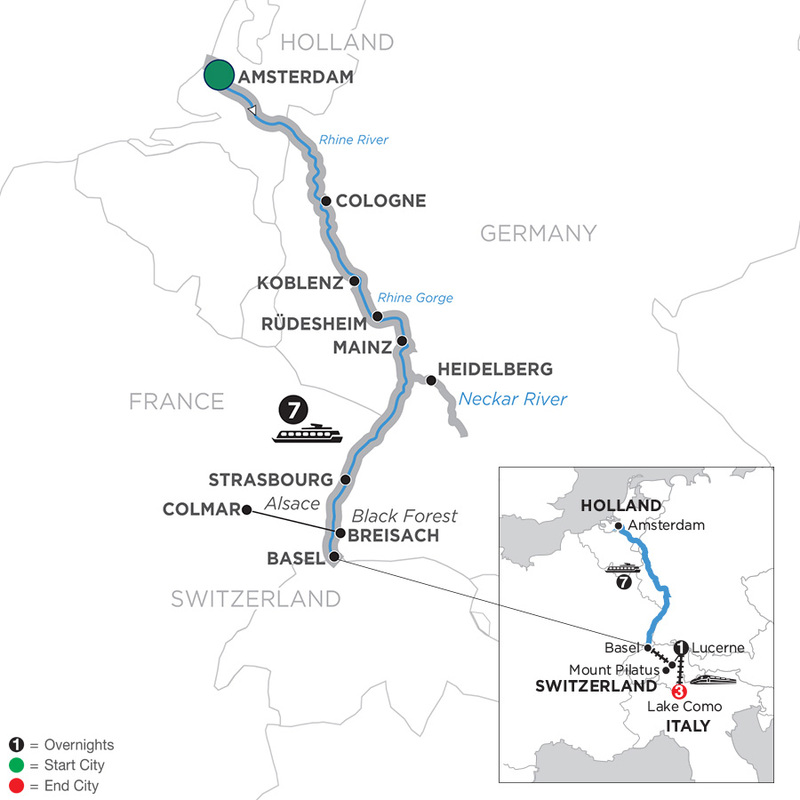 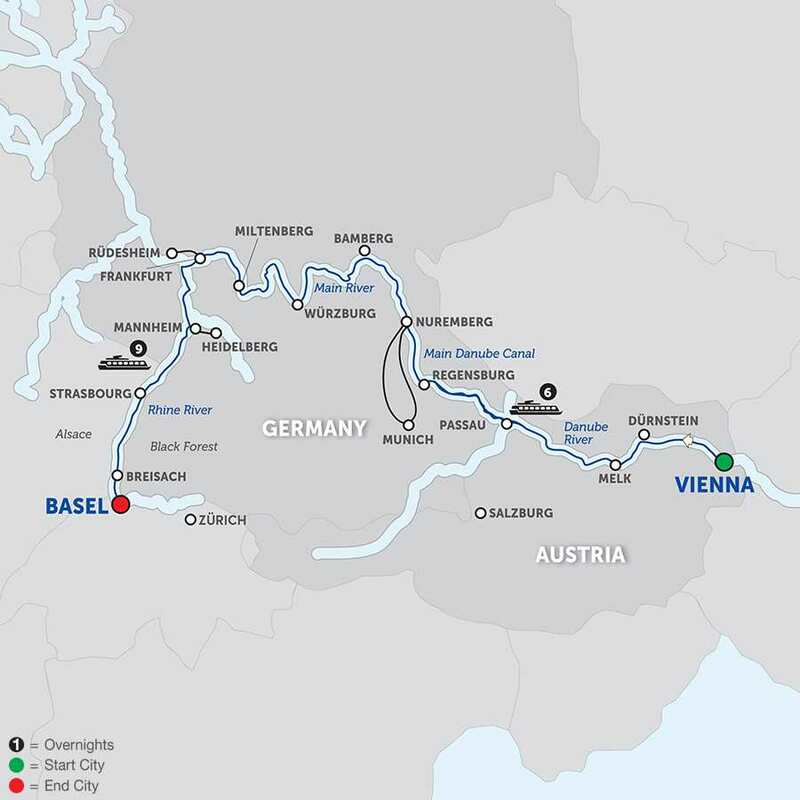 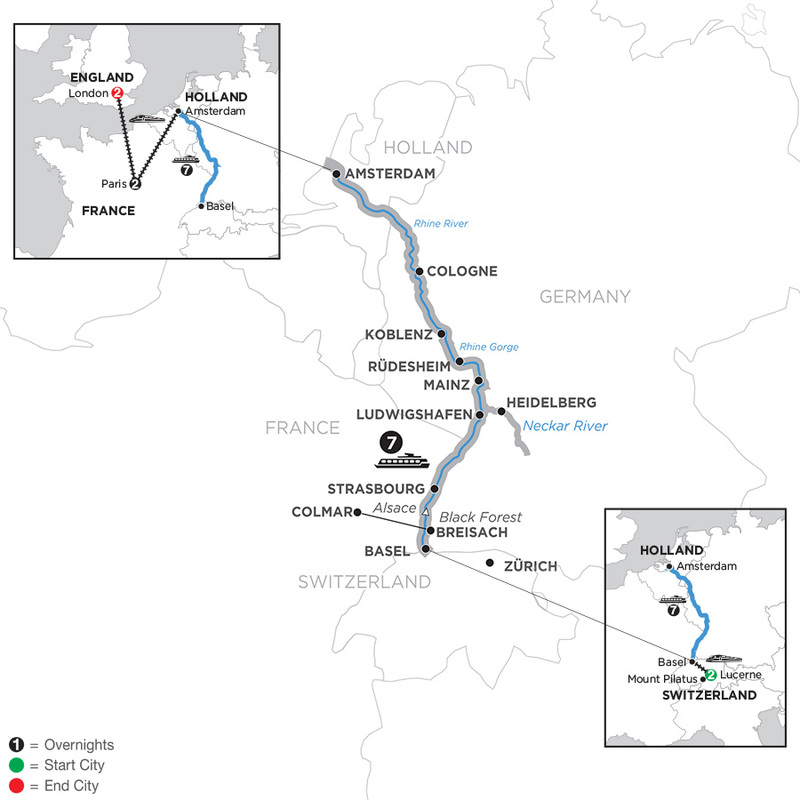 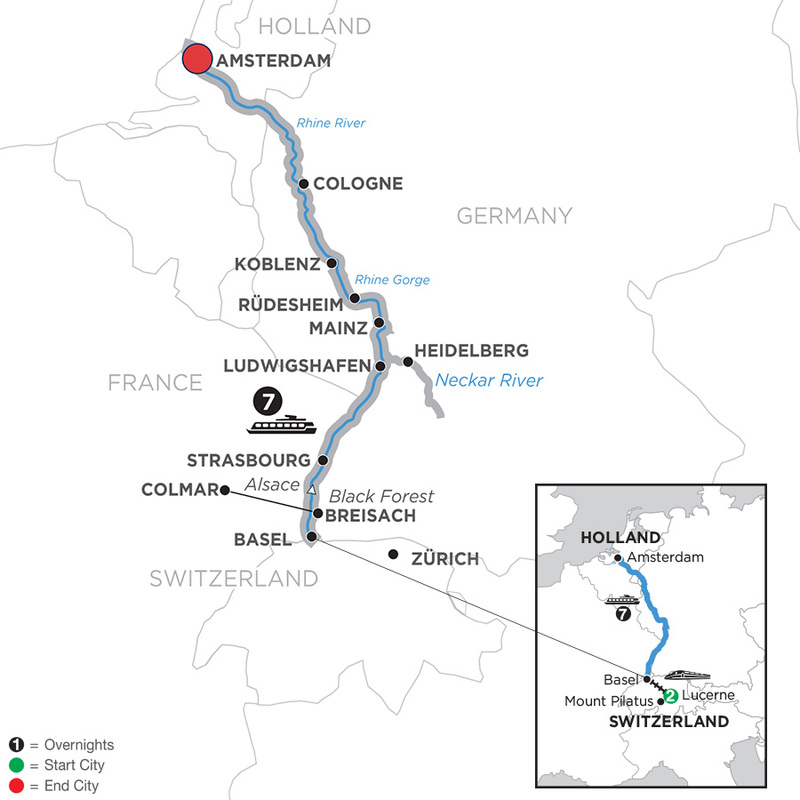 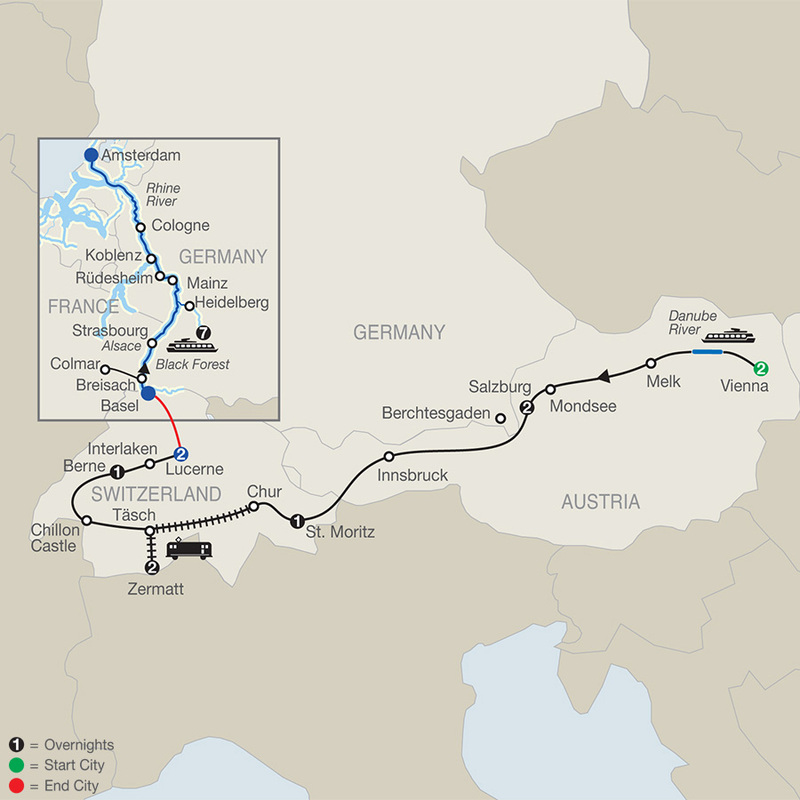 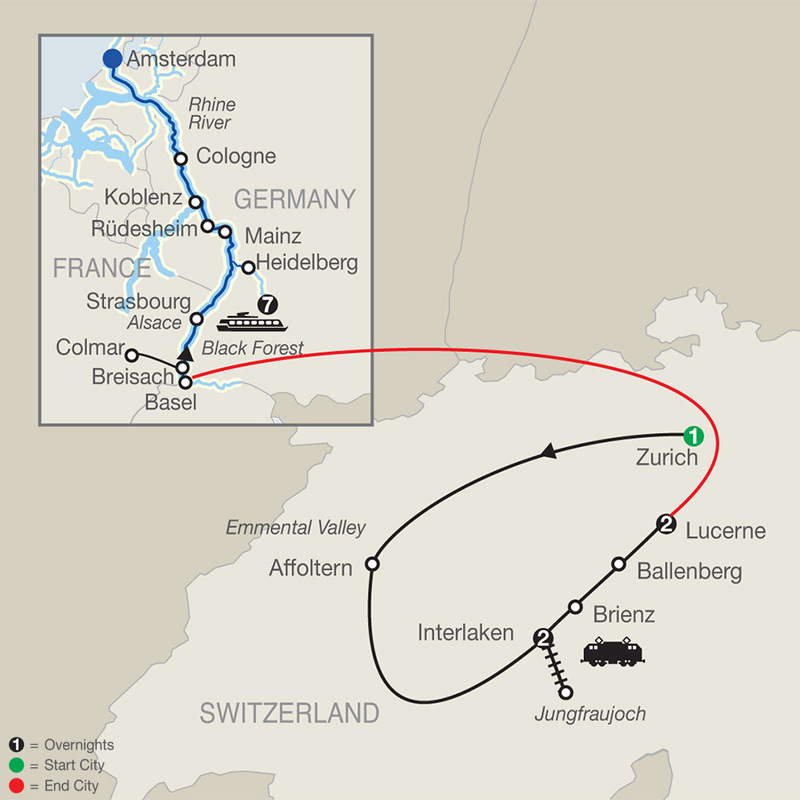 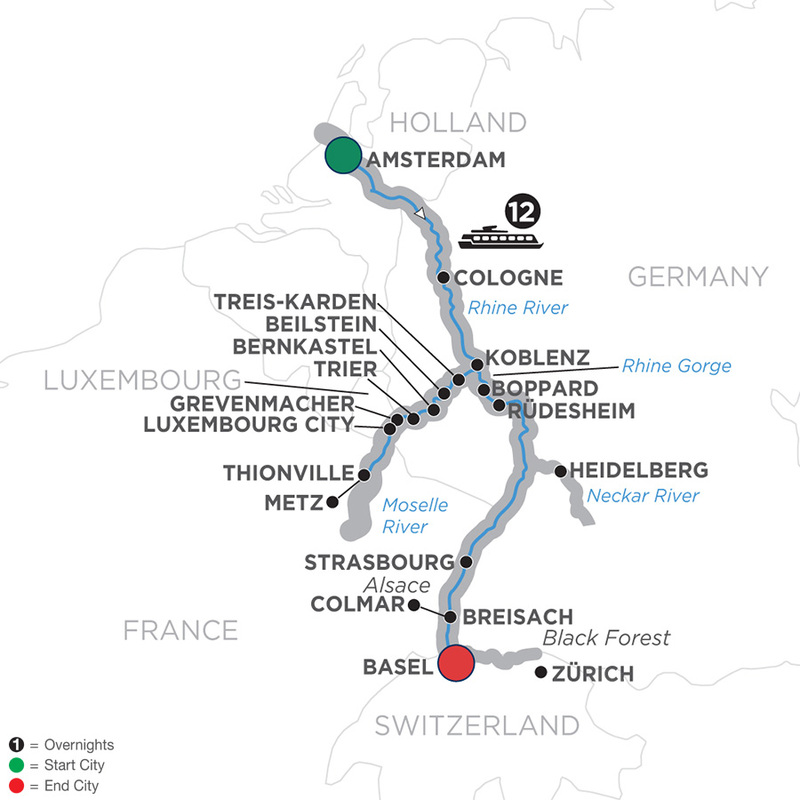 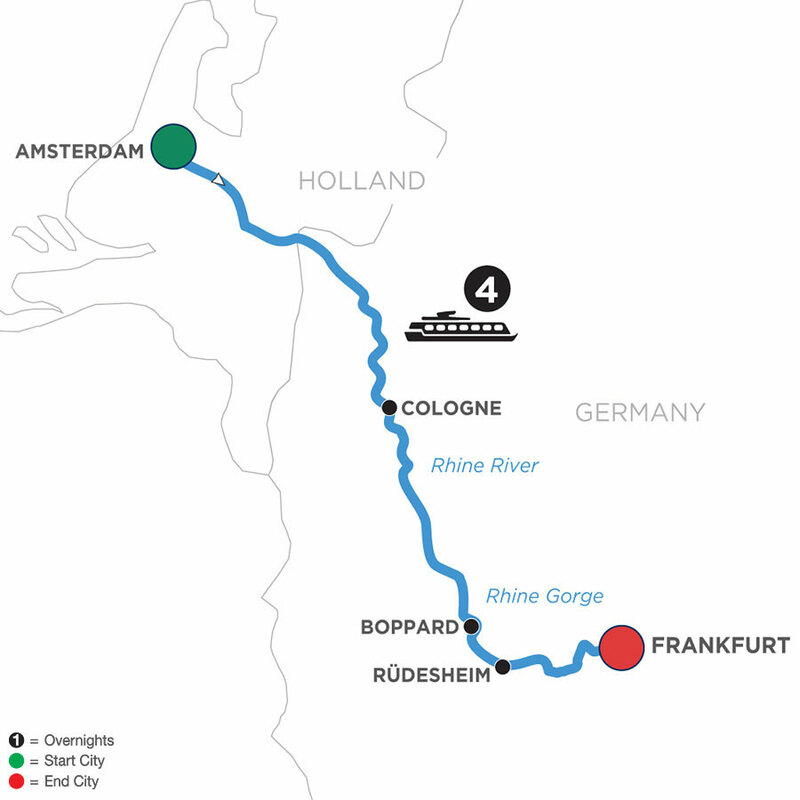 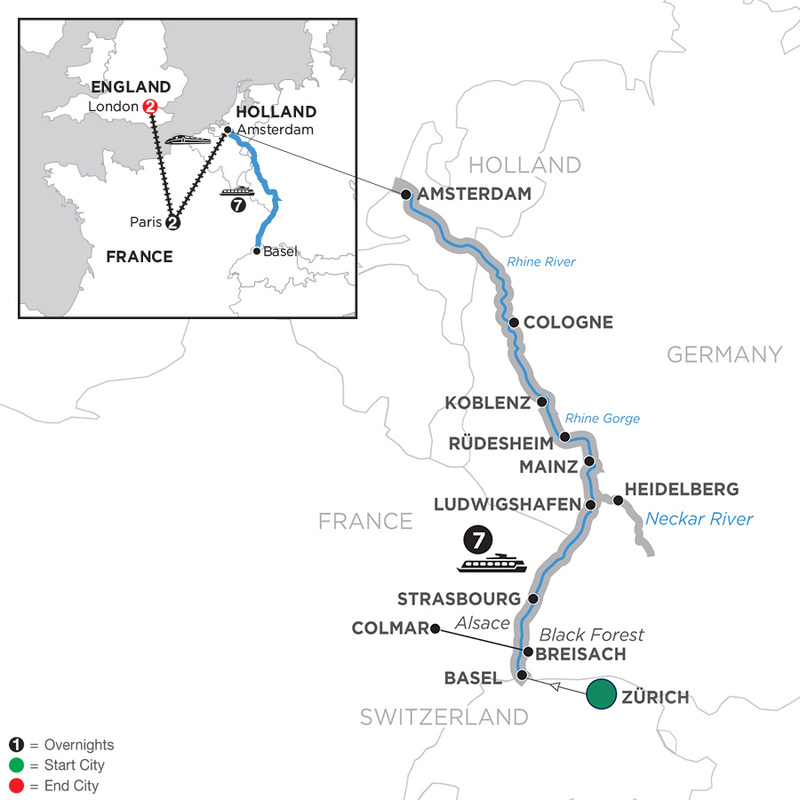 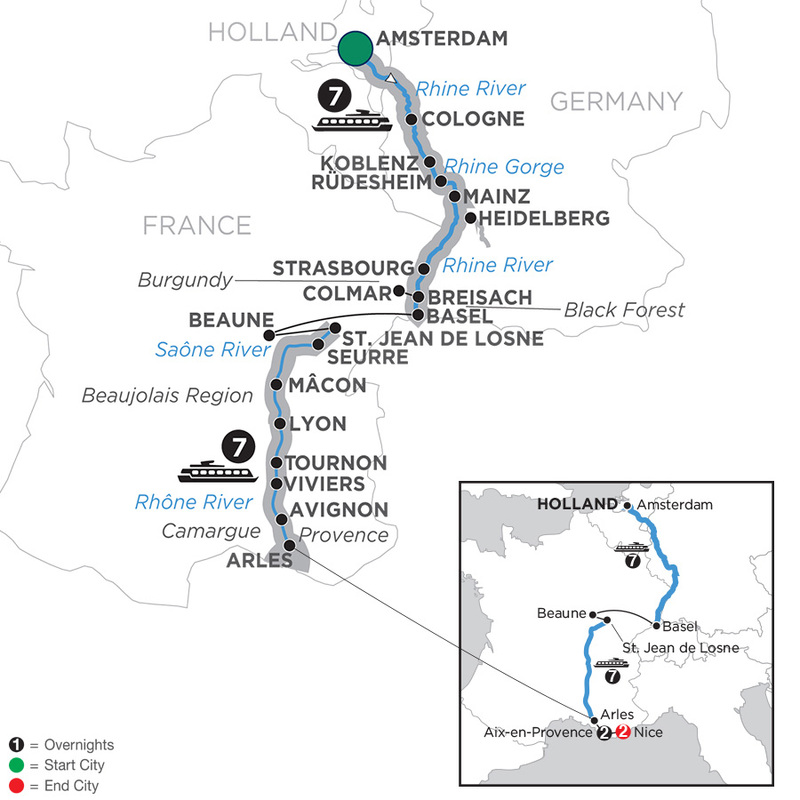 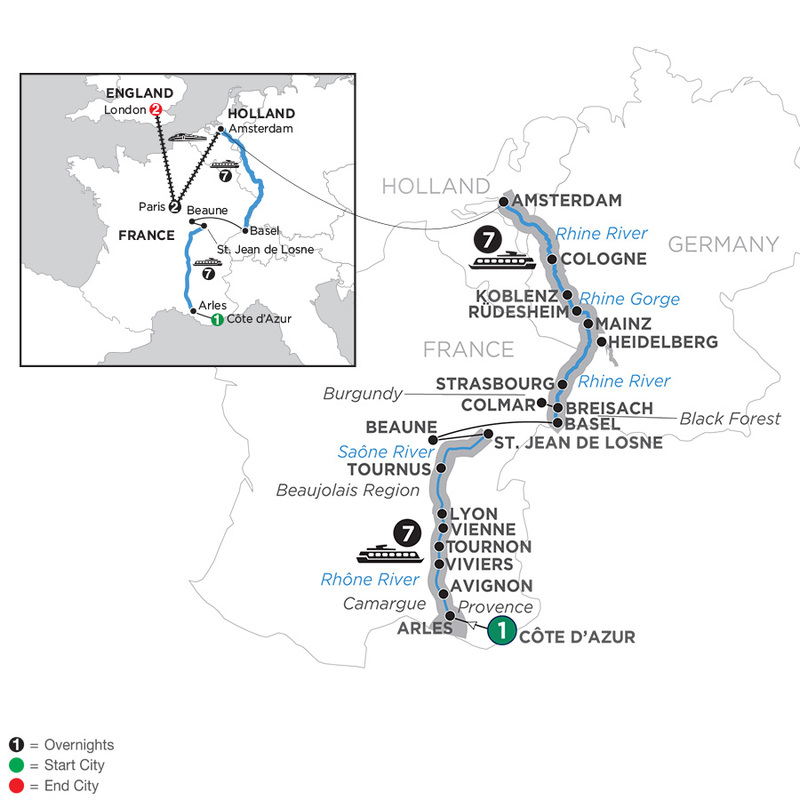 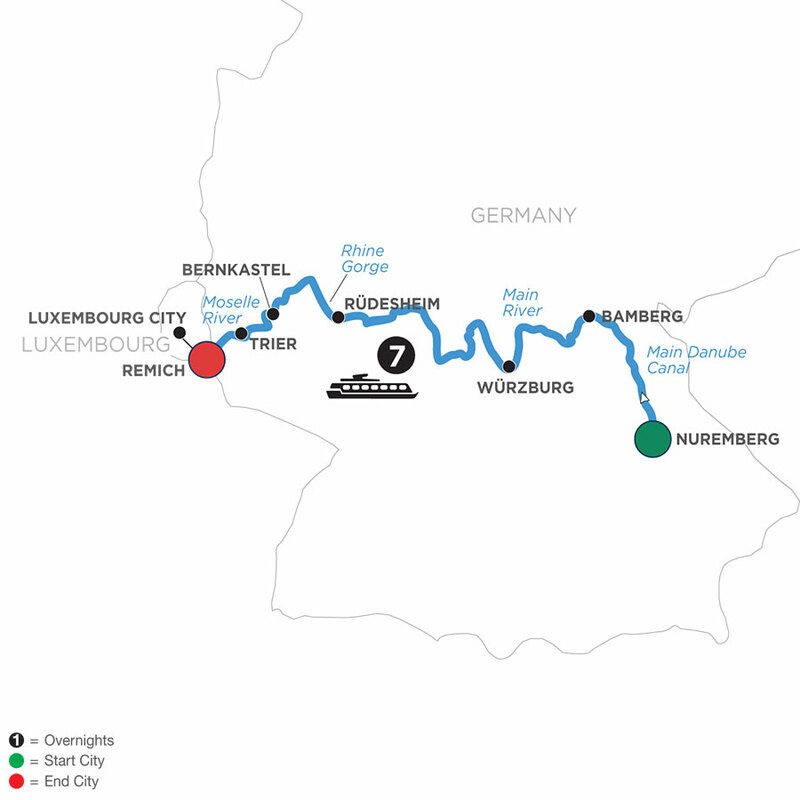 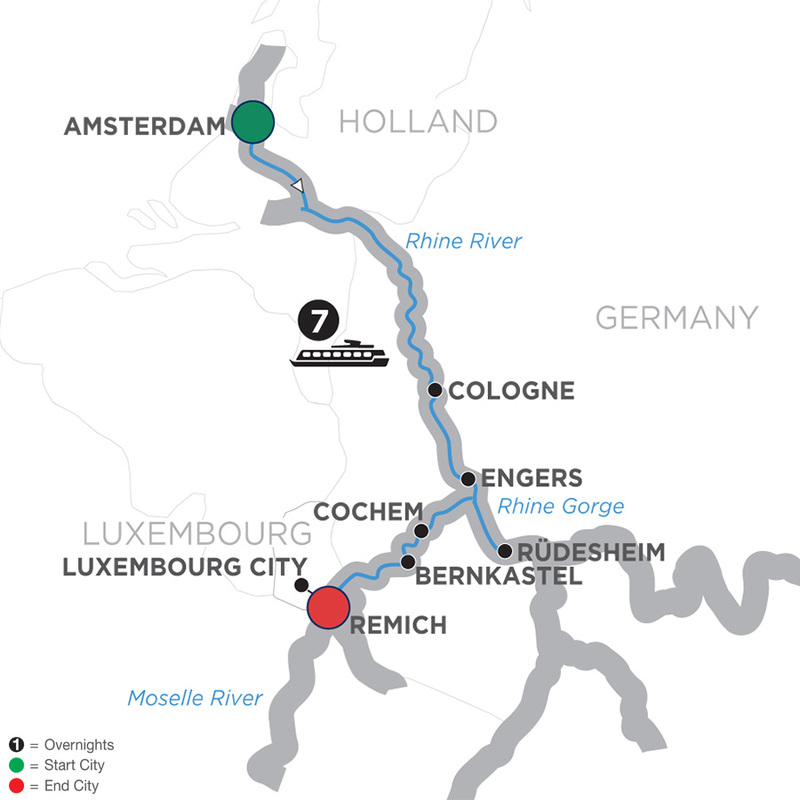 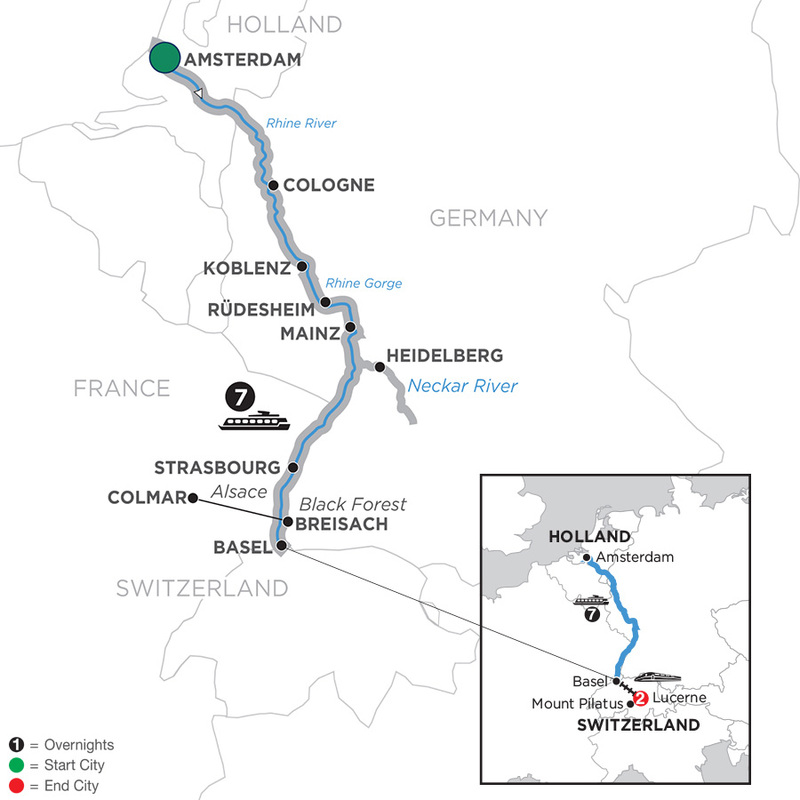 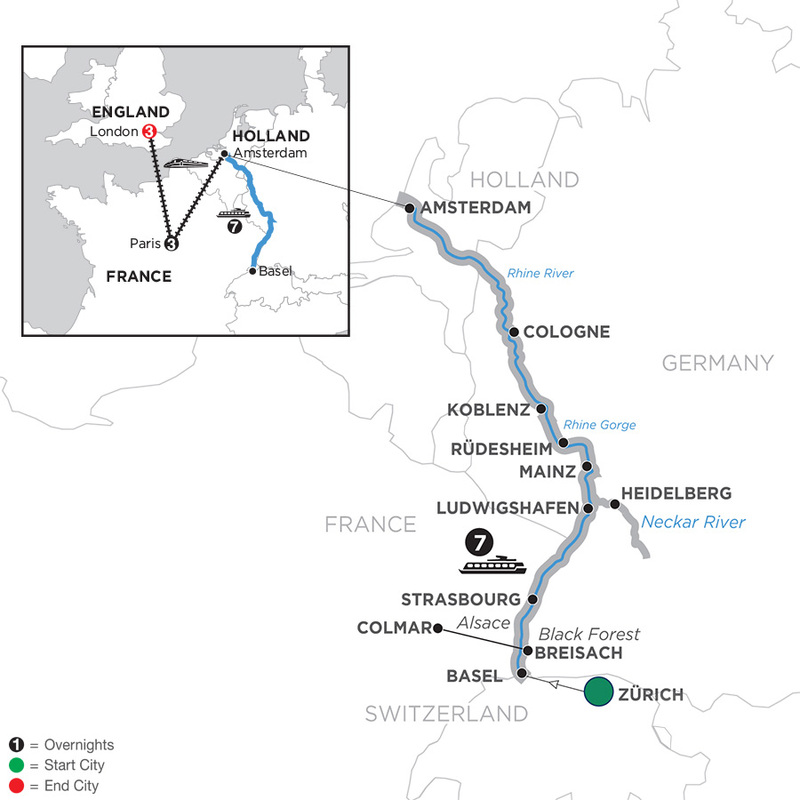 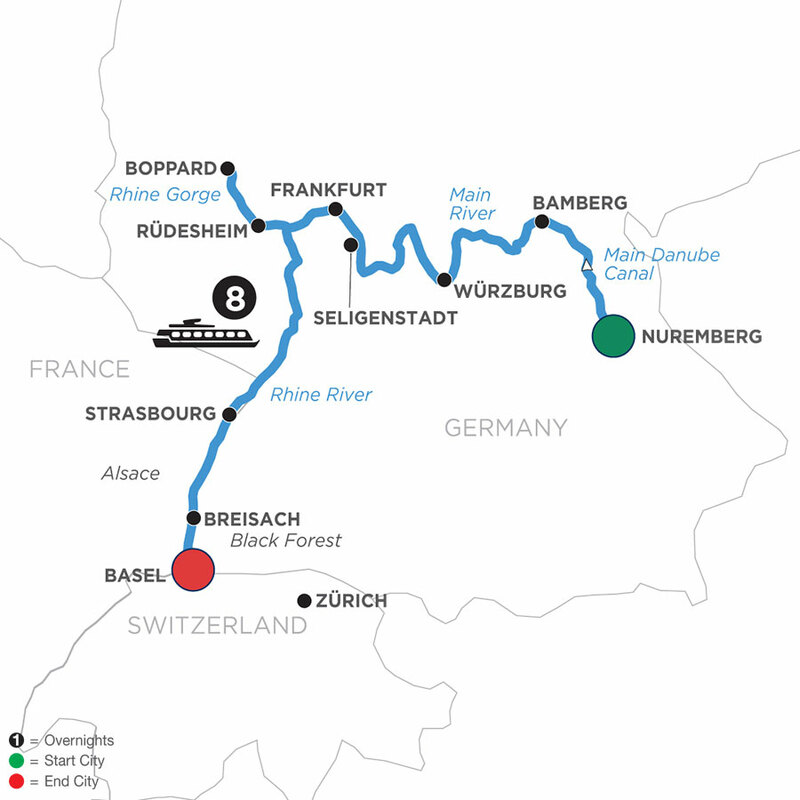 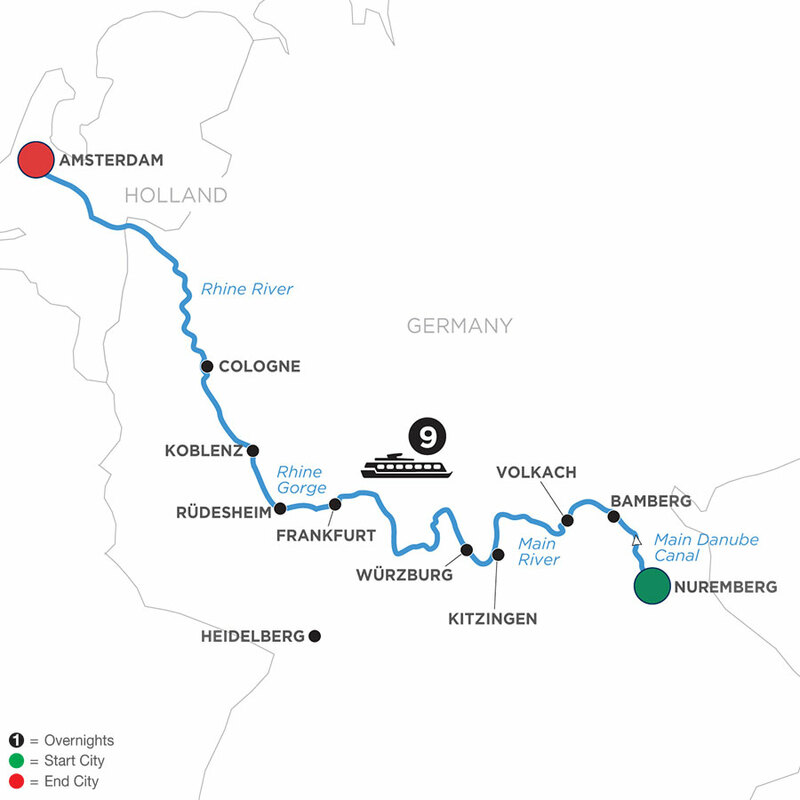 View all your options (and applicable deals) for a romantic Rhine river cruise below.